And now we come to our final pie option… pumpkin and cheese! This one is a little sweet and is great for breakfast or a snack at any time during the day. 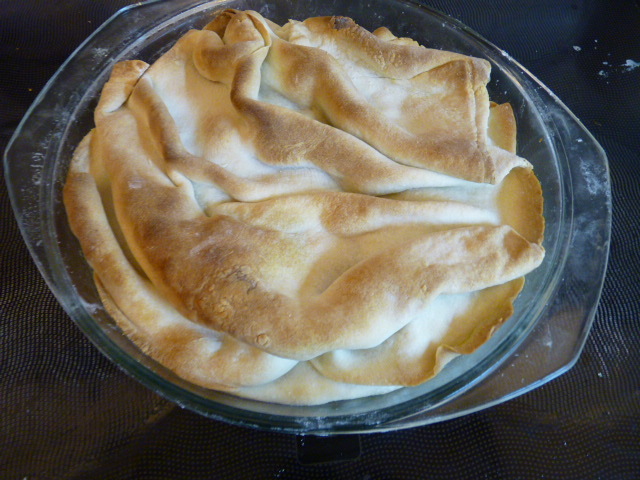 This is the third of the three kinds of pie that I made with my single package of phyllo dough. If you do the same, be sure to make all three fillings before you even take your phyllo out of the fridge. 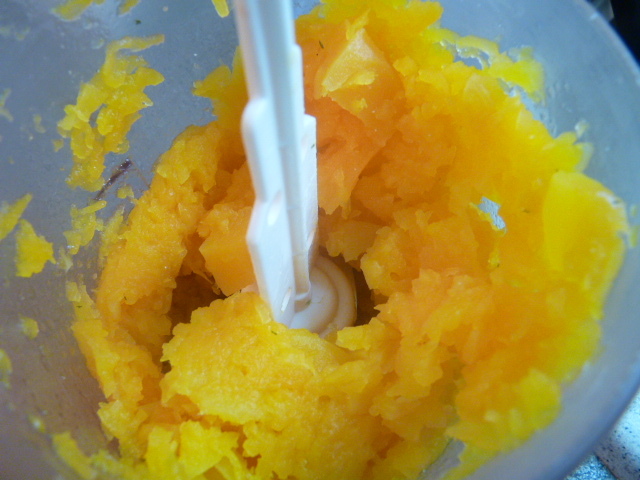 For this I used frozen chunks of orange winter squash (the Greek word kolokytha is usually translated pumpkin, but it’s basically butternut squash or something along those lines) that I had bought at the farmers’ market back in the fall, and kept in the freezer until now. Whether you use fresh (unlikely at this time of year) or frozen, put it in a saucepan to soften up. 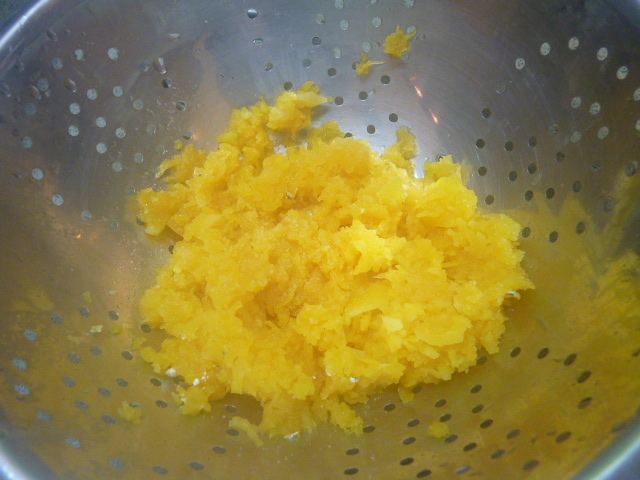 Transfer the cooked pumpkin to a food processor. Process for a few seconds until it breaks down. Transfer to a colander and squeeze it gently to drain off the excess water. 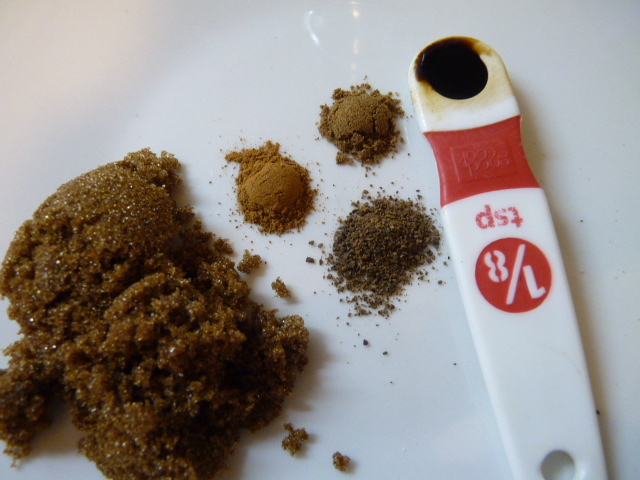 Measure out your spices: left to right, dark brown sugar, cinnamon, nutmeg, allspice, and maple extract (optional). 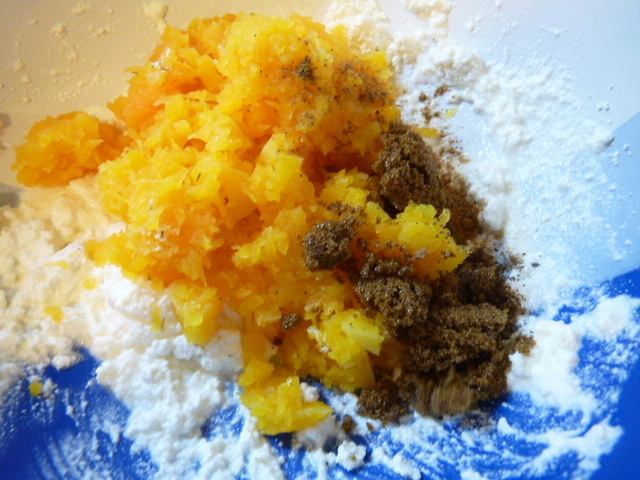 In a clean bowl, combine the pumpkin with the spices and the remaining one third of the cheese. Now we’ll make the phyllo triangles. These will be large triangles; if you want, you can make smaller ones by cutting the phyllo in half lengthwise once again. 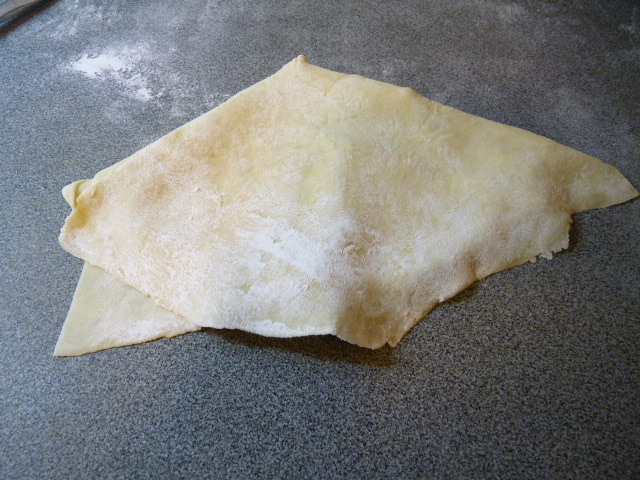 Put 1/8 of the filling at one end of the phyllo strip. 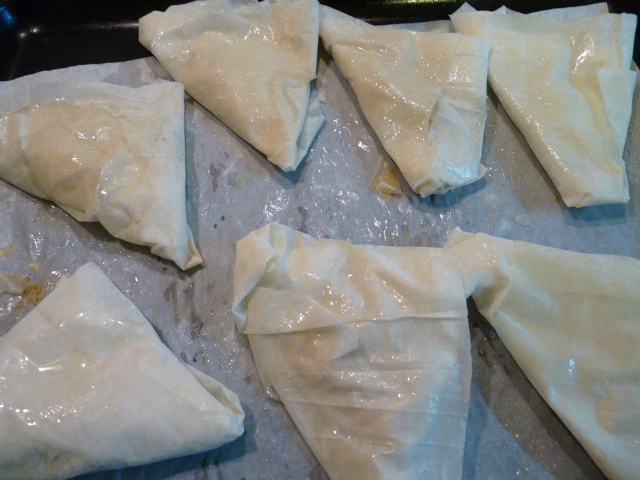 Fold the phyllo over itself to form a triangle. Continue folding, keeping the triangle shape. When you reach the end, spritz the end with olive oil to make it stick and place it on your oiled wax paper-lined baking sheet. When they’re all ready, spray them again with olive oil and pop them in the oven for 20 minutes or until crispy and golden brown. 1. 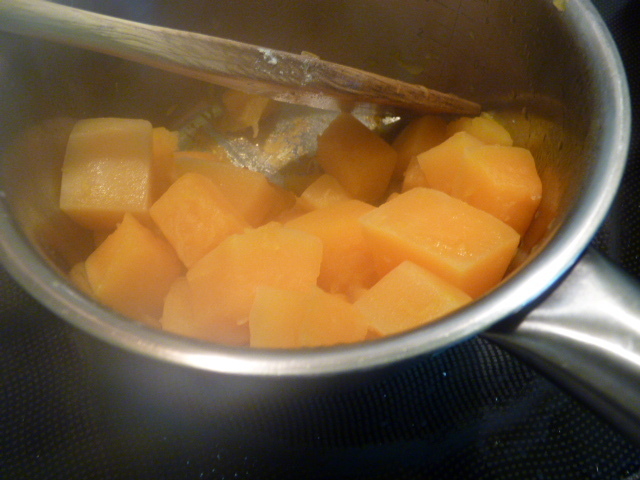 Soften pumpkin by heating in a saucepan over medium heat for several minutes. 2. 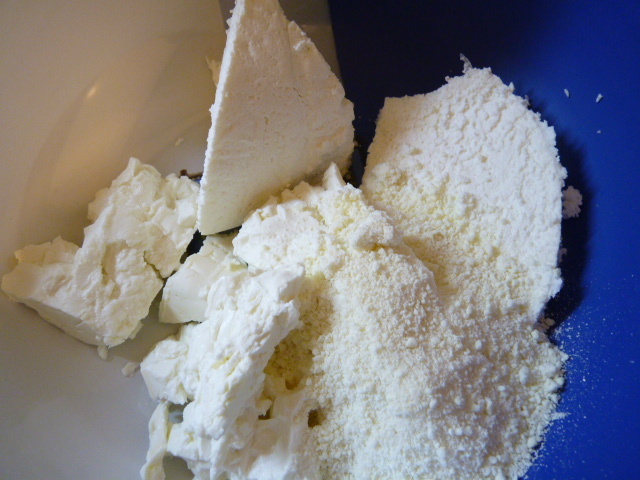 Transfer to a food processor and process for a few seconds until broken down. Transfer to a colander. Squeeze gently to release excess water. 3. 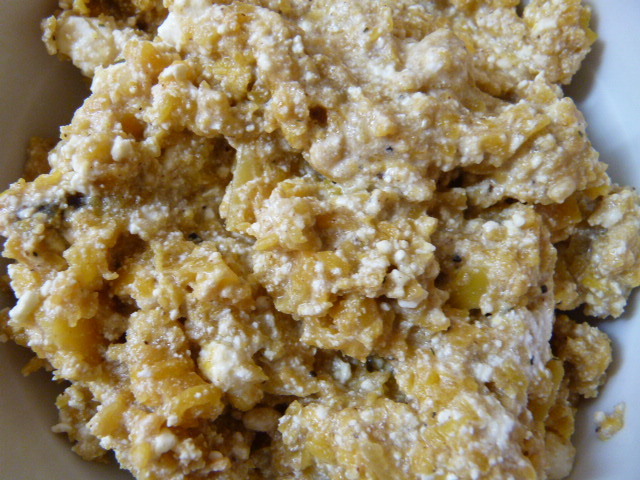 Combine pumpkin, spices, and cheese in a bowl. 4. Preheat oven to 180 C / 350 F. Line a baking sheet with wax paper and spray with oil. 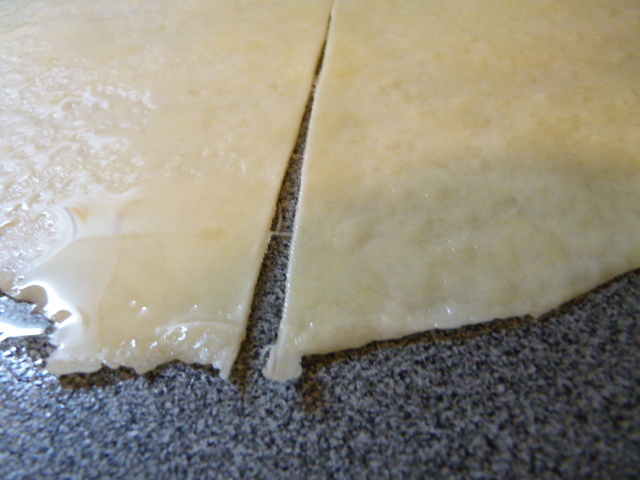 Make phyllo triangles: put 1/8 of filling on one end of the phyllo sheet, which has been cut in half lengthwise. 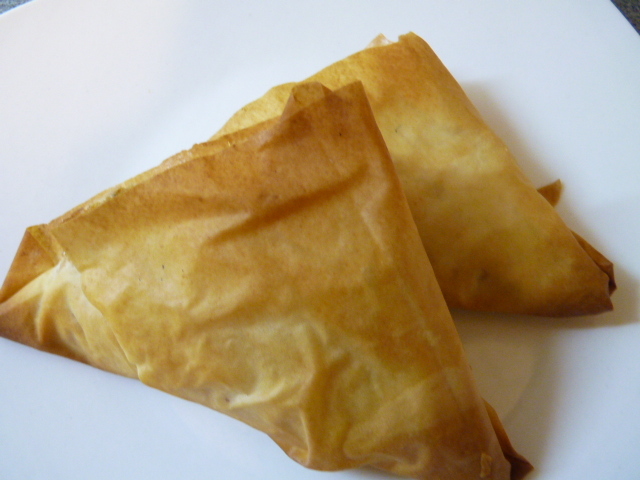 Fold phyllo with filling over itself to form a triangle. Repeat this folding motion, making a triangle with each fold. 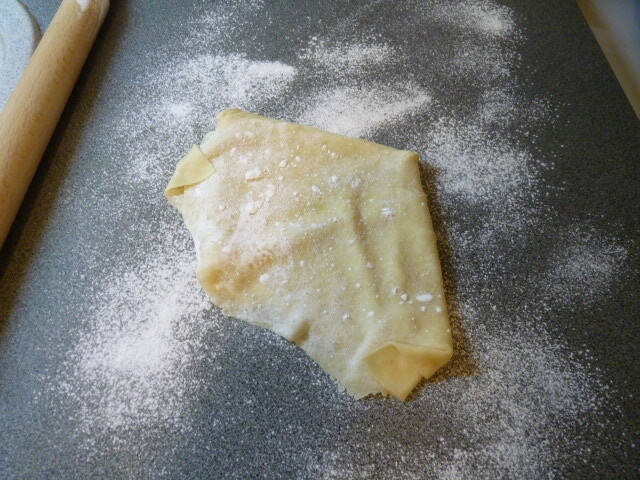 When the phyllo is all folded, spray with olive oil to adhere the last layer of phyllo to the triangle. Place on wax paper. 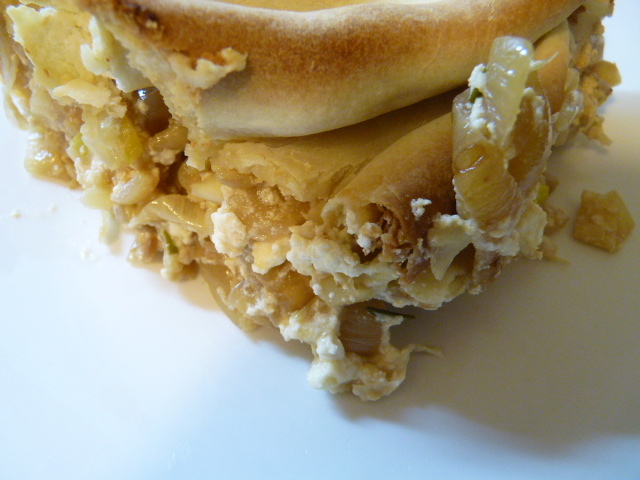 Repeat with the rest of the filling and phyllo. 5. Bake at 180 C / 350 F for 20 minutes or until a golden brown color and crispy. To make cheese sauce, combine all ingredients and mash together. Note: if you aren’t also making other kinds of pies at the same time, triple the pumpkin and spices, and use all the phyllo and cheese. 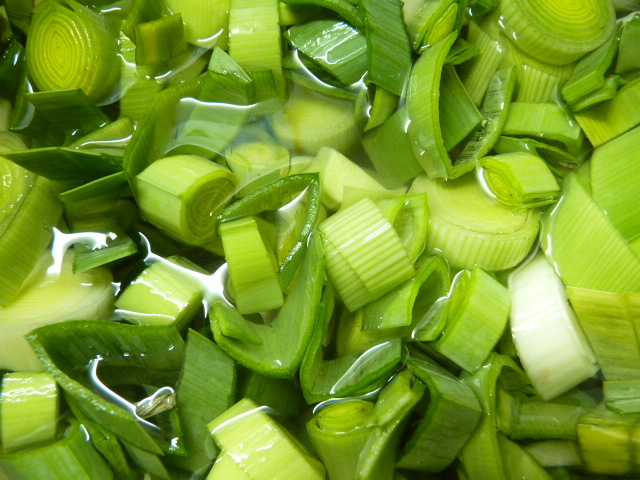 We’ve made leek and cheese pie already; we’ll make the spinach filling today. You can use either fresh or frozen spinach. I had frozen so that’s what I used, but the method is the same either way. 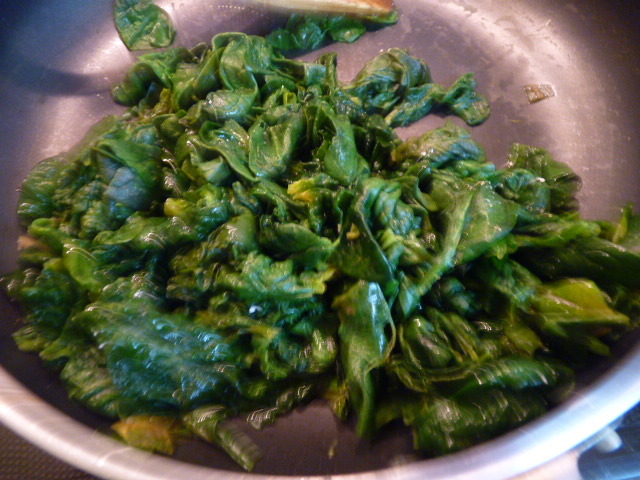 Put the spinach in a nonstick pan with a little spritz of olive oil and let it soften. 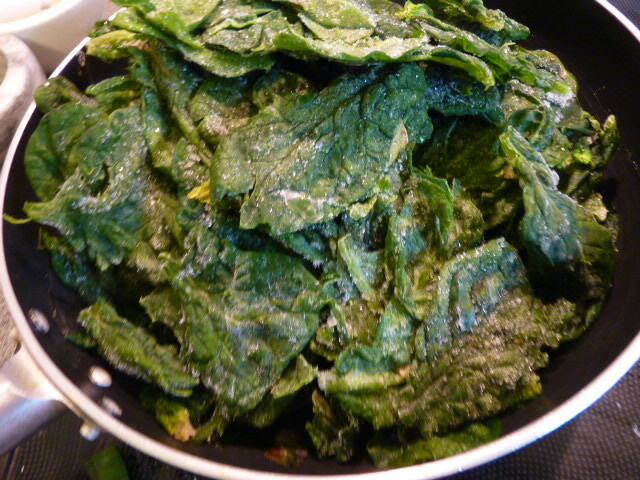 Transfer the cooked spinach to a colander to drain. 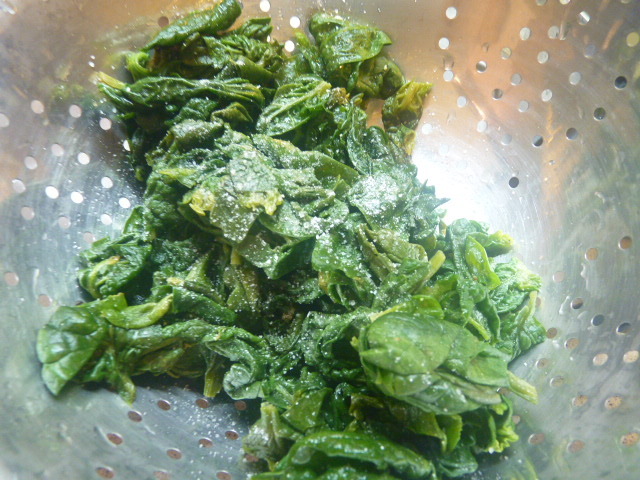 Sprinkle the salt on the spinach and let it rest for about ten minutes. 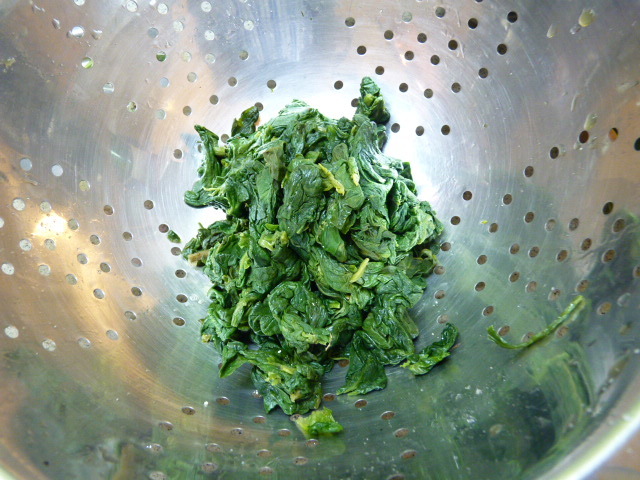 The salt will help draw excess water out of the spinach. Squeeze the spinach outside the colander into the sink, allowing the water to run out of your hands. The volume of the spinach should reduce by over half. It’s important to do this to avoid soggy spinach pie. 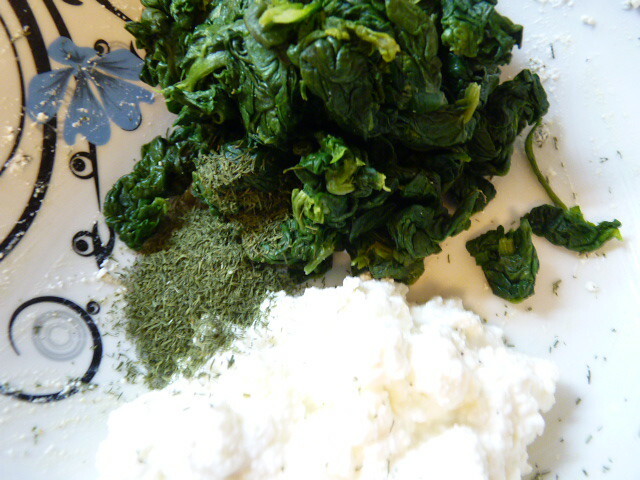 In a clean bowl, combine the spinach, dill, and cheeses. 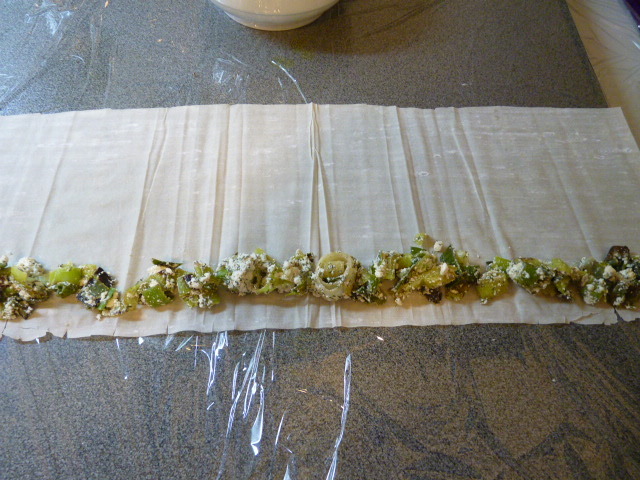 Form the phyllo spirals following the instructions on the leek and cheese pie post. Bake them for about 20 minutes until golden brown and cripsy! 1. Spray a non-stick pan with olive oil lightly. Add spinach leaves. Allow to soften. Drain in colander. Sprinkle with salt and allow to rest 10 minutes. 2. Squeeze spinach with hands to remove as much water as possible. 3. 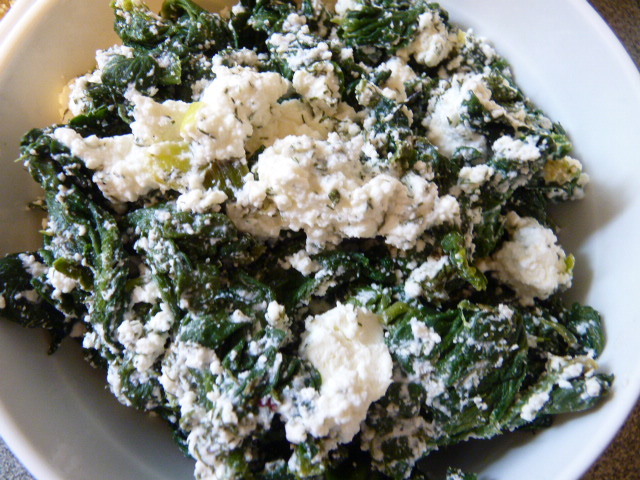 In a bowl, combine spinach with dill and cheese. 4. Preheat oven to 180 C / 350 F. Cover a baking sheet with wax paper and spray with oil. 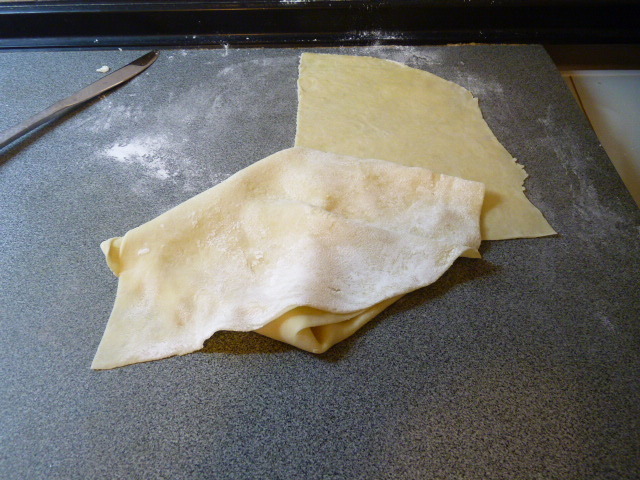 Form phyllo spirals: cut phyllo in half lengthwise. 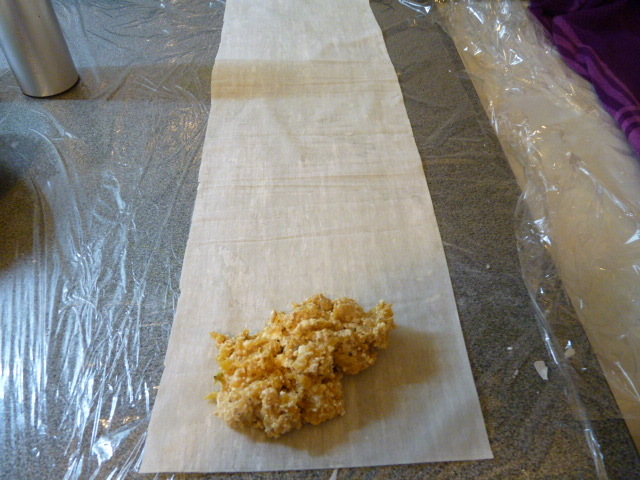 Put 1/8 of filling on each sheet along the bottom long edge, and roll up. Coil the roll around itself to form a spiral. 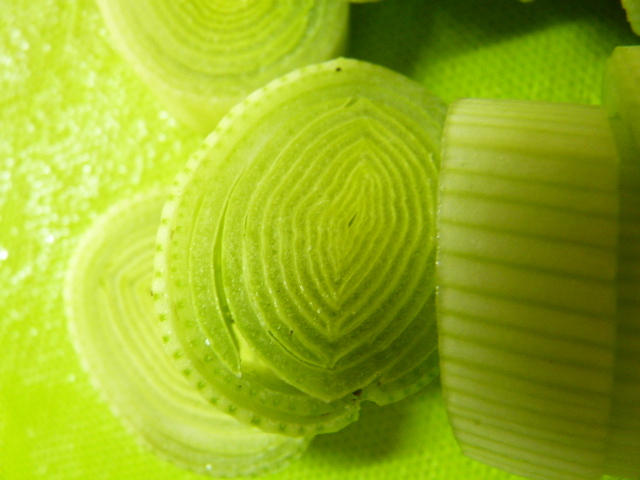 Place spirals on wax paper and spray with olive oil. 5. Bake at 180 C / 350 F for 20 minutes or until lightly golden brown in color and crispy. Allow to rest 15 minutes before serving. Note: if not making other kinds of pies at the same time, triple the spinach and dill, double the salt, and use all the phyllo and cheese. 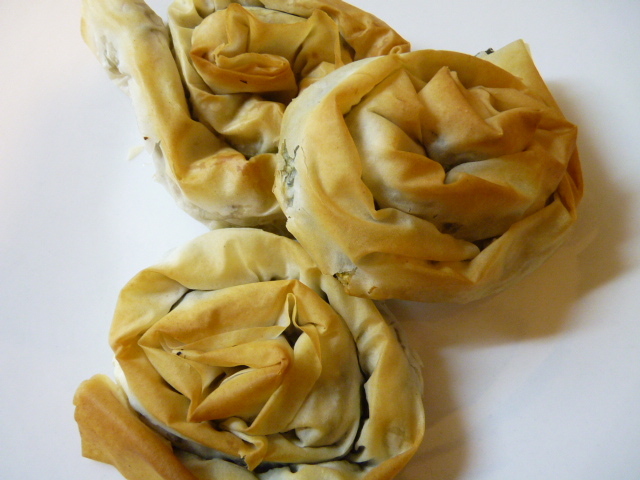 More detailed instructions on how to form phyllo spirals here. Now that we know how to make our own phyllo dough, we can go back to buying it out of the supermarket freezer (come on, who really has four hours every time they want to make a recipe?). 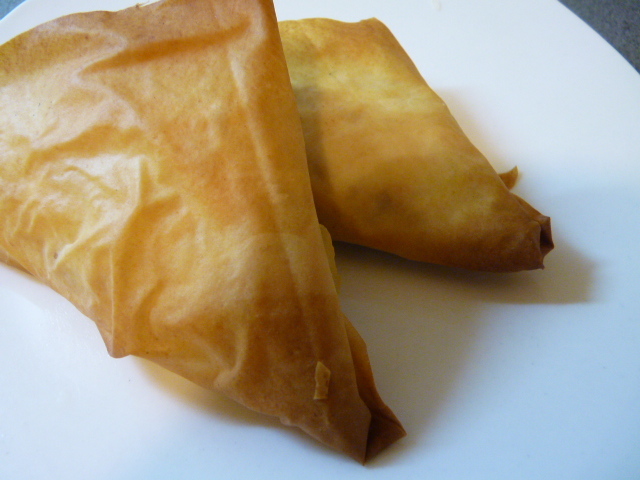 A package of phyllo dough is 450g (1 lb), and that’s a lot of dough. So what I often do is make several different dishes with it. However, once you defrost it, you really need to use it up the same day. So I usually make several fillings for the phyllo and do them all at once. You can triple the recipe (using all the phyllo) or use the given recipe for each of these three pies. 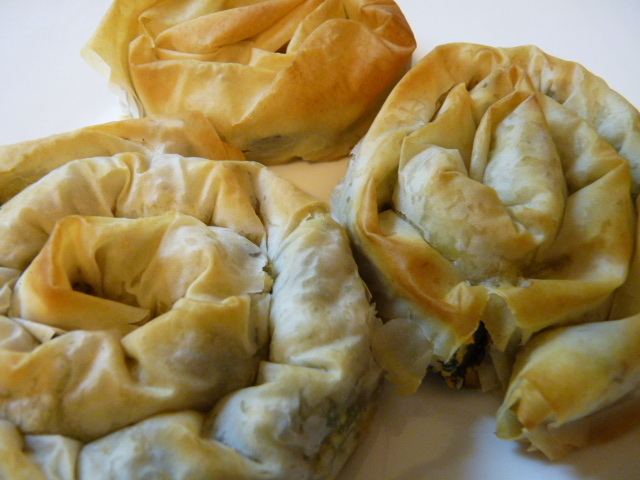 If you make your own phyllo, go with the tripled recipe. This time, with my package of phyllo dough I made: leek and cheese pie (prassotyropita), spinach and cheese pie (spanakotyropita), and pumpkin pie (kolokythopita). The first two are savory; the third is sweet and savory at the same time (and makes a great breakfast). 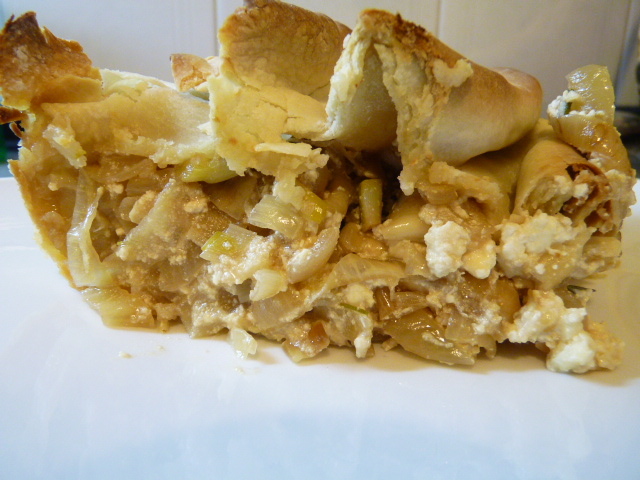 This post will deal with the leek and cheese pie; we’ll do the others in the next two recipe posts. If you’re using storebought phyllo dough, move it from your freezer to your refrigerator 24 hours before you’ll be using it. 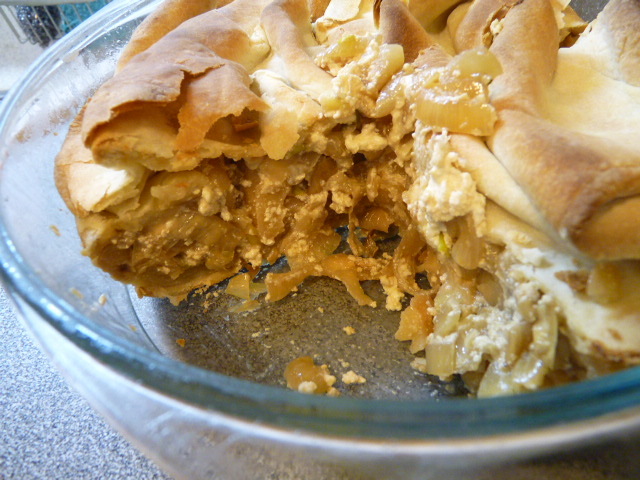 Make the filling before you take the phyllo out of the fridge. 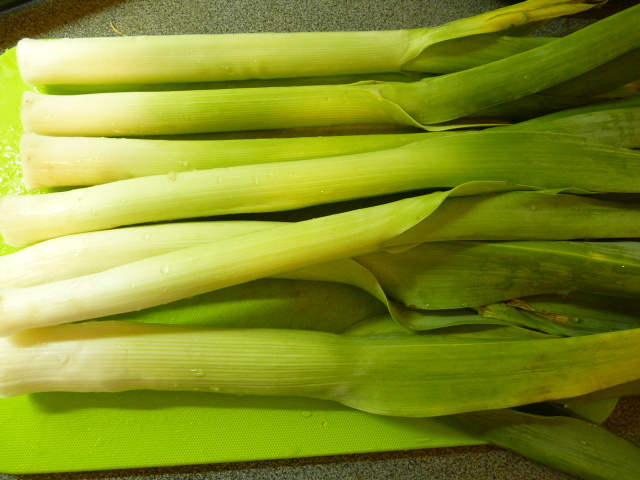 Leeks are great because when they’re available, they’re cheap as can be. They’re easy and go into lots of recipes. They pair well with white cheeses and have a sweeter, brighter flavor than regular green onions. Start buy cutting them into rounds. 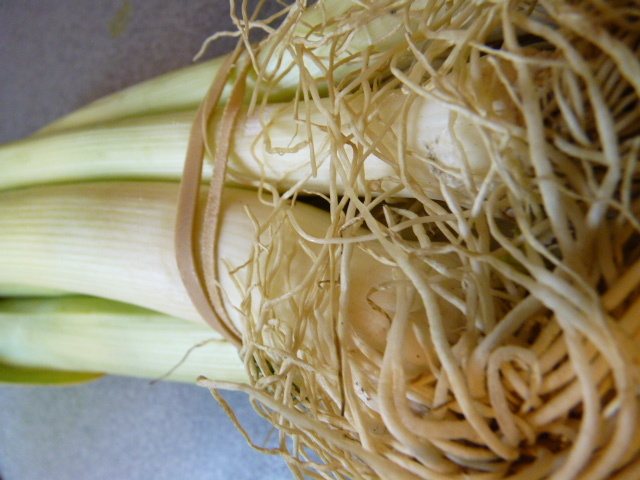 Leeks are among the dirtiest of vegetables. I try to wash them before cutting them, but always wash them once they’re cut as well, because there is always dried mud hidden inside the fronds. 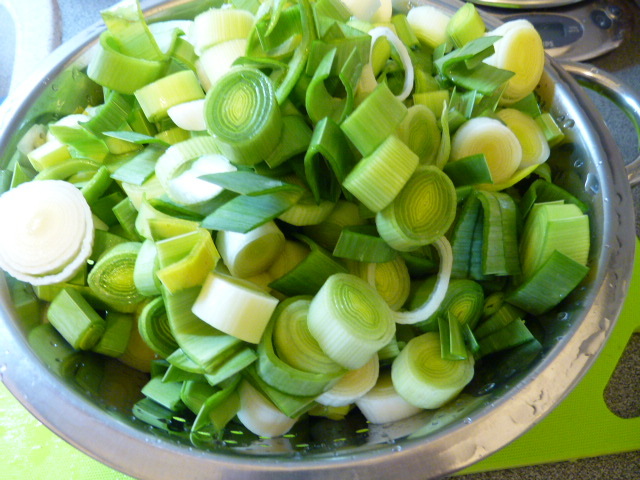 I wash sliced leeks the same way I wash spinach: fill a large pot with cold water and a few tablespoons of vinegar. 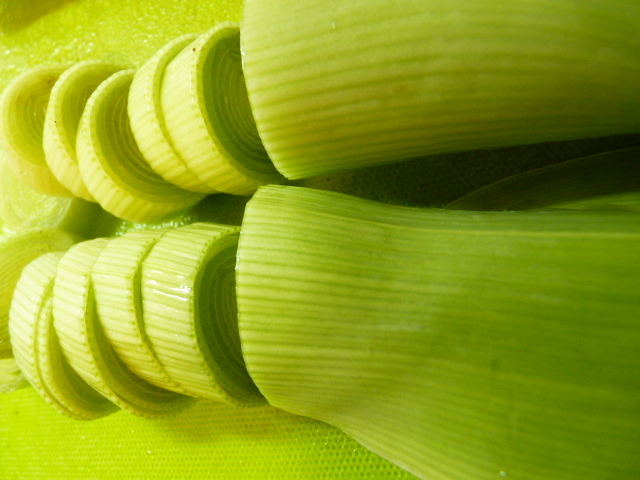 Add the leeks, agitate them with my hands for a few minutes, and then lift them out of the water into a colander to drain. Because I was only making filling for a third of the phyllo, I didn’t need to use all these leeks. I put half of them in the freezer to use in other dishes later (leeks freeze well). 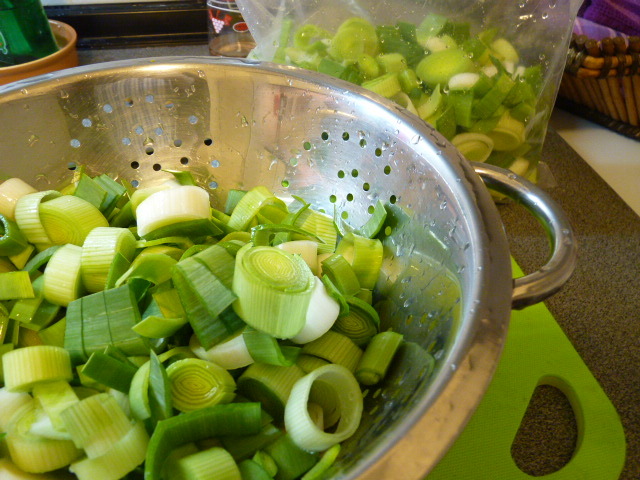 If you are only making leek pie, use a very full colander; otherwise, about half of a colander. 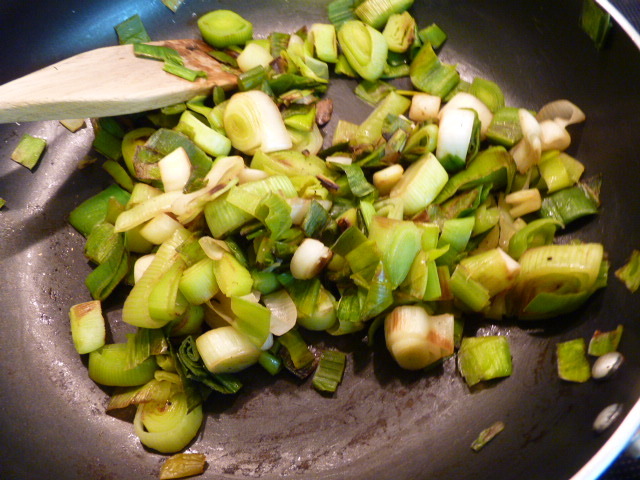 Start to sweat the leeks in your pan. We want them to release some of their moisture and to take on a bit of a brown color in places, but still retain that bright green. While the leeks are doing their thing, assemble the cheeses. If you’re making this in the US or UK, you should use real Greek feta cheese (it’s easy to get anymore at any supermarket) with ricotta and parmesan. 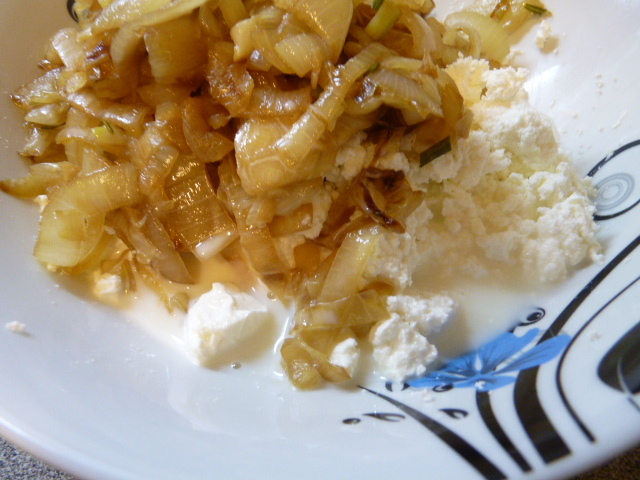 If you’re in Greece, you can (as I did) use lefko tyri (feta-style cheese made with cow’s milk), anthotyro, and shredded myzithra. I make these suggestions for Greek readers because these cheeses are much cheaper than the traditional Greek choices (real feta is now too expensive for many Greeks, including us – although I did make an exception and bought a box of real feta from our town just to remind us what it tastes like… oh, it was so good!). The lefko tyri at my supermarket is about €3.80/kg. 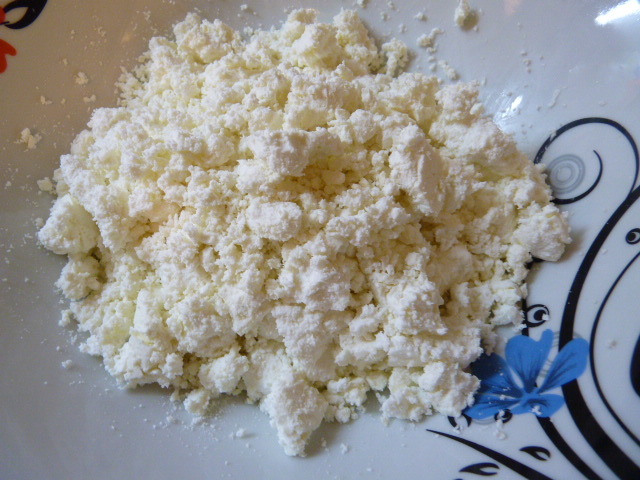 The cheapest feta cheese is around €9.00/kg. You can also leave the cheese out entirely. Note that the eggs, traditionally used in this recipe, are omitted here, in an effort to reduce costs further. Mash together the cheeses and pour in the milk. Stir it all together to form a thick sauce. At this point, get a clean bowl. 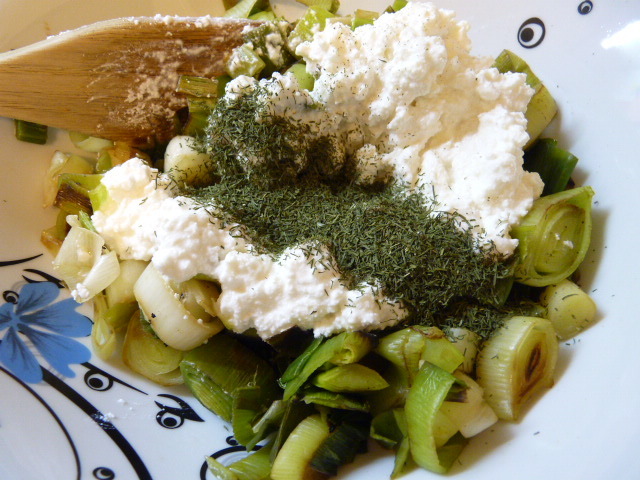 Combine in the bowl the leeks from the stove with one third of the cheese. 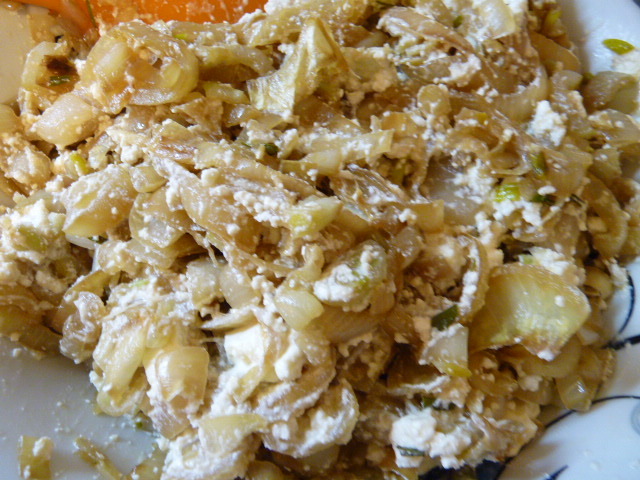 (If you’re making only leek pie, use all the cheese.) Add dill to the bowl. Stir everything together and set it aside while we prepare the phyllo dough. 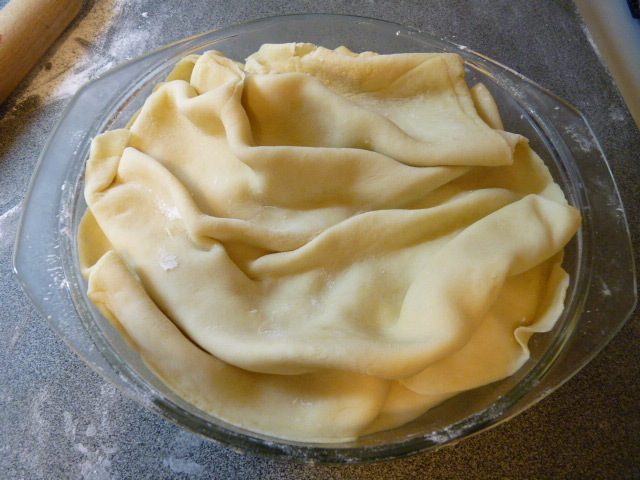 To use storebought phyllo dough, if you’re not familiar with it, is easy but it needs a little kitchen preparation first. First, turn on your oven. Line a large baking sheet in wax paper and spray it liberally with olive oil. Set aside. You’ll need a fair amount of counter space. 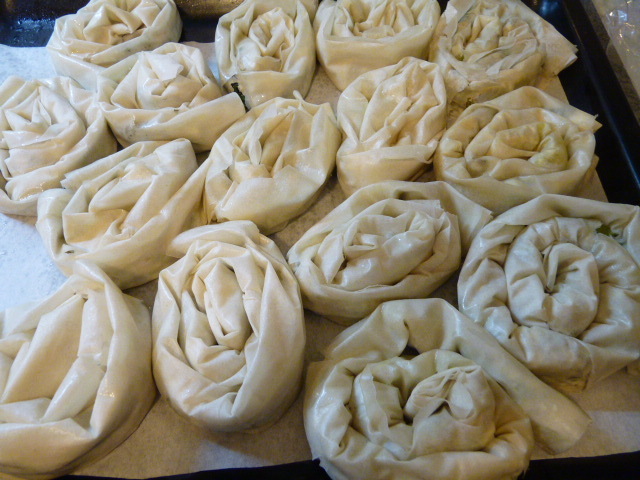 You need space to lay out the phyllo and space to form the pies. I cleared off the top of my washing machine in order to have space to lay out the phyllo. 1. Cover the space completely with plastic wrap. 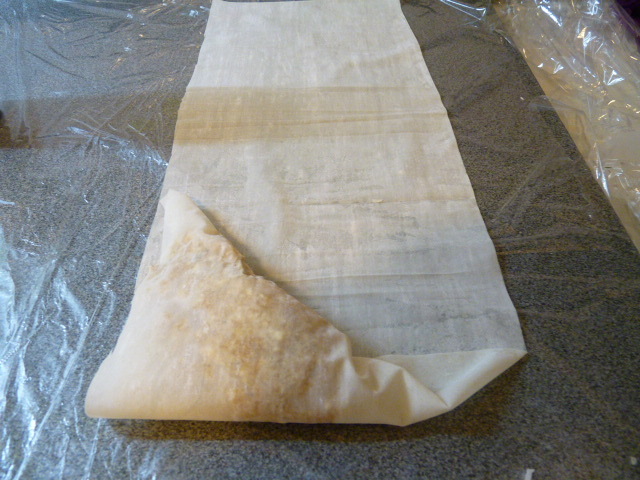 Lay out the phyllo on the plastic wrap. 3. 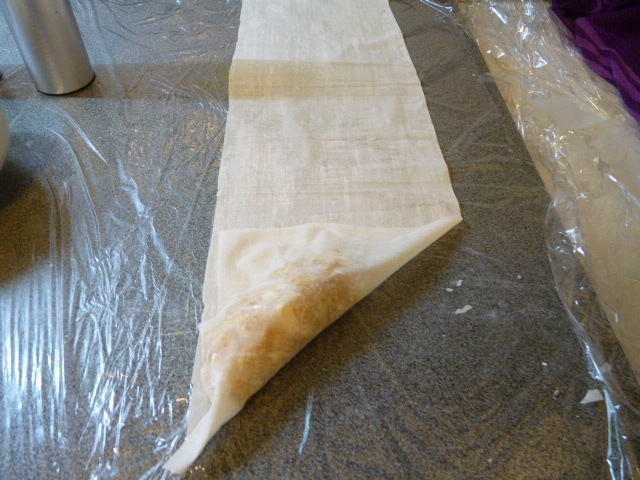 Cover the cut dough with plastic wrap completely. 4. 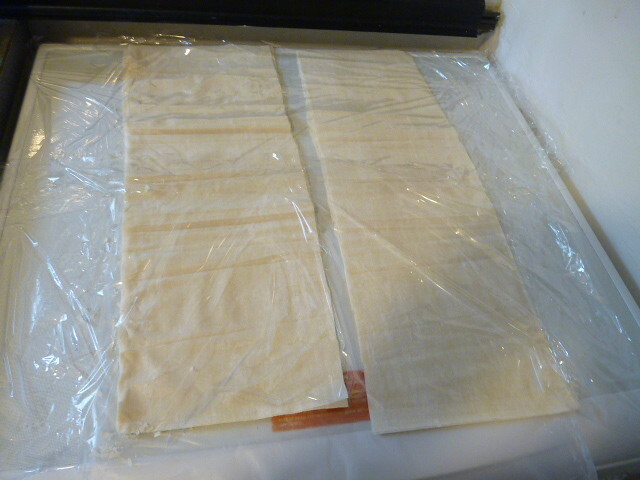 Moisten a kitchen towel in cold water, ring it out, and drape it over the top plastic wrap. 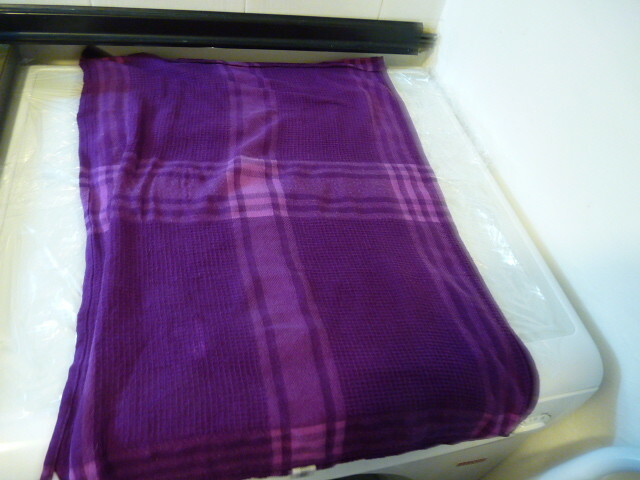 The plastic keeps the dough from drying out, and the wet towel keeps it cool. 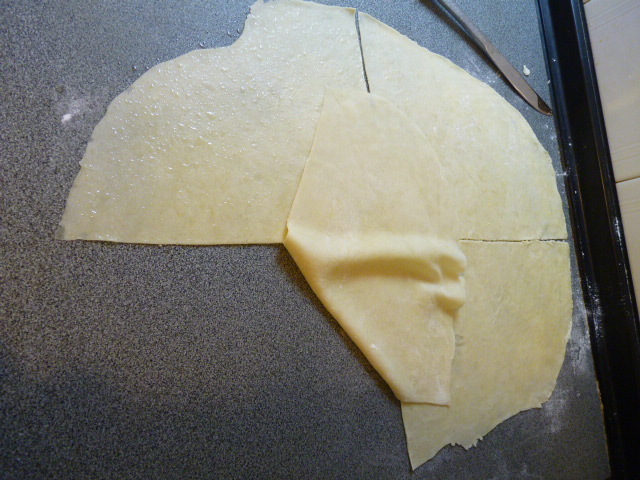 To form each pie, first lay out one single sheet of cut phyllo on the counter. 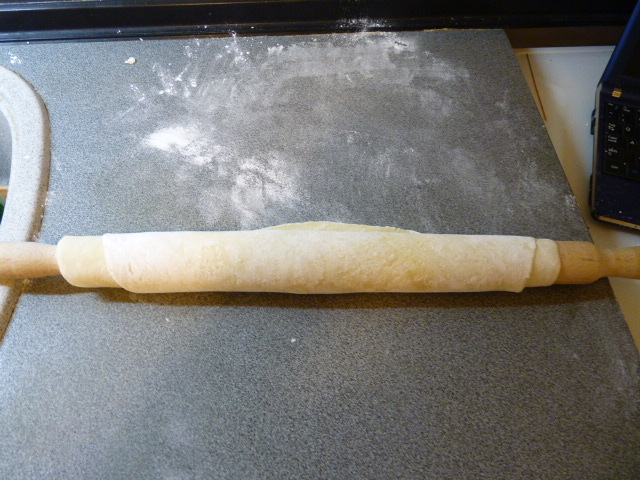 Put some of the filling in a line along the long edge as in the photo. 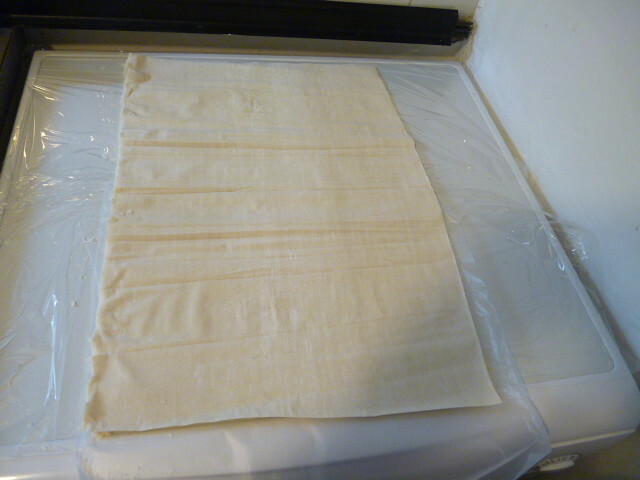 Roll the phyllo uniformly up towards the top of the sheet. 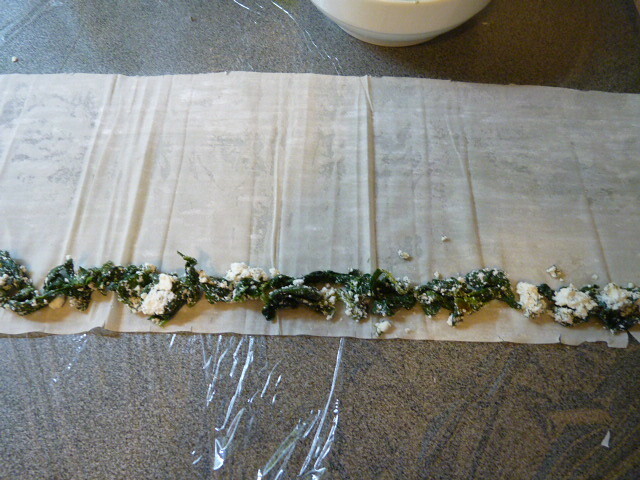 When it’s all rolled up, spray the top with olive oil. Turn it over and spray the bottom with oil too. Then curl it around itself to form a spiral. Put it on the baking sheet. Continue until you run out of filling. In Greece, a package of standard phyllo kroustas (the most common type of phyllo dough) usually has 12 sheets; since we cut these in half, we should get 24 pies. I actually only made 21 pies (7 of each kind) but if you spread the filling out a little more, you can get 8 of each. I am pretty bad at guessing how much filling to put in each one to make it come out exactly the right number of pies. When you’ve filled your baking sheet, put them in the oven for about 20 minutes or until a light golden brown and crispy. 1. Spray a non-stick pan with olive oil. Over medium heat, sweat leek rounds for about 10 minutes until soft and brown in spots. 2. In a clean bowl, combine leeks, cheese, and dill. Note: if making other types of pies at the same time, make all fillings before moving on to step 3. 3. Preheat oven to 180 C / 350 F. Cover a baking sheet in wax paper and spray with olive oil. 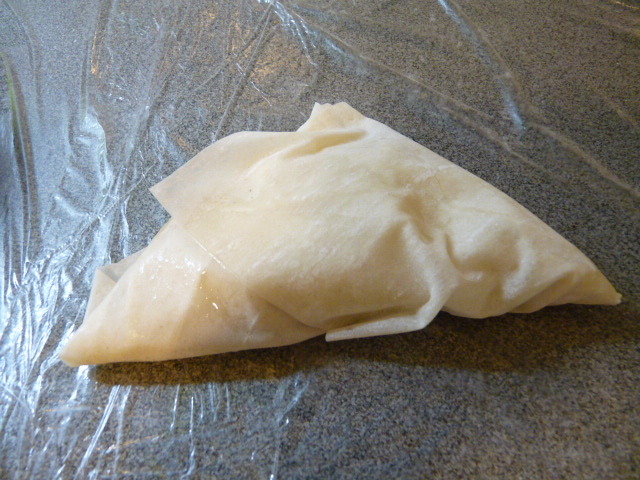 Prepare phyllo: cover a large surface in plastic wrap. 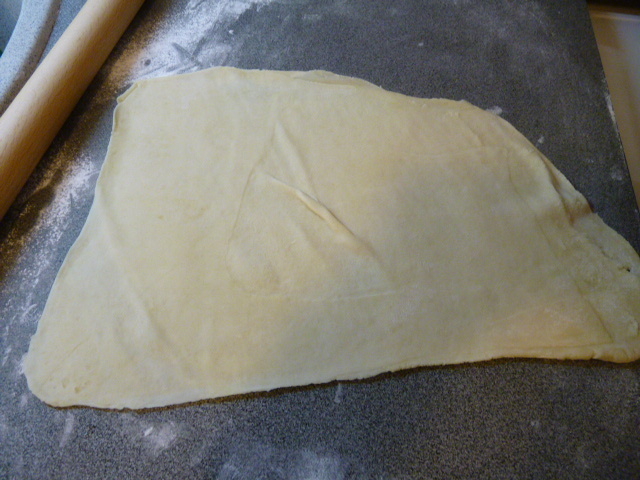 Lay out phyllo dough. 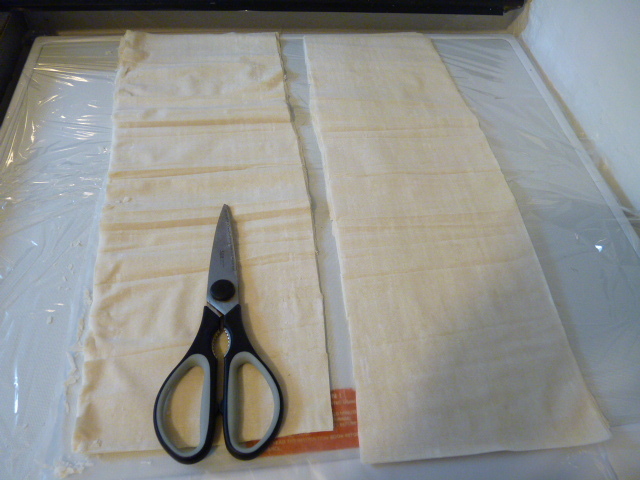 Cut in half lengthwise with kitchen shears. 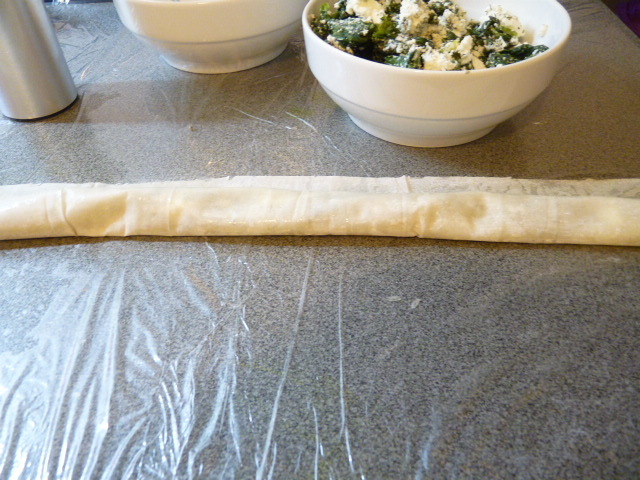 Cover cut phyllo with plastic wrap and top with wet, wrung-out kitchen towel. 4. 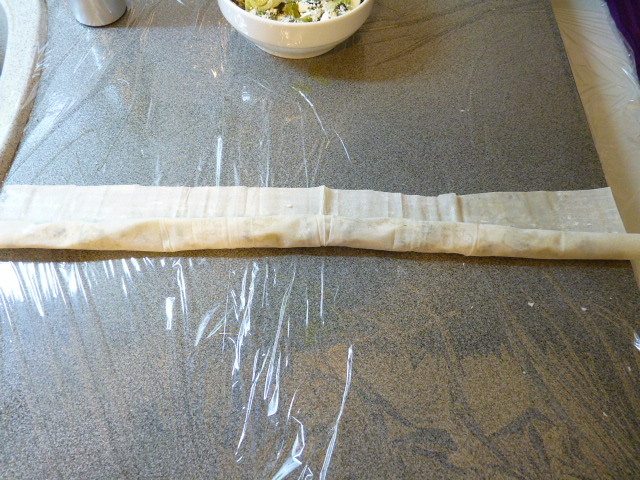 Lay a strip of phyllo dough on plastic wrap covered surface. Top with 1/8 of the filling, in a line along the bottom. Roll the phyllo up toward the top. 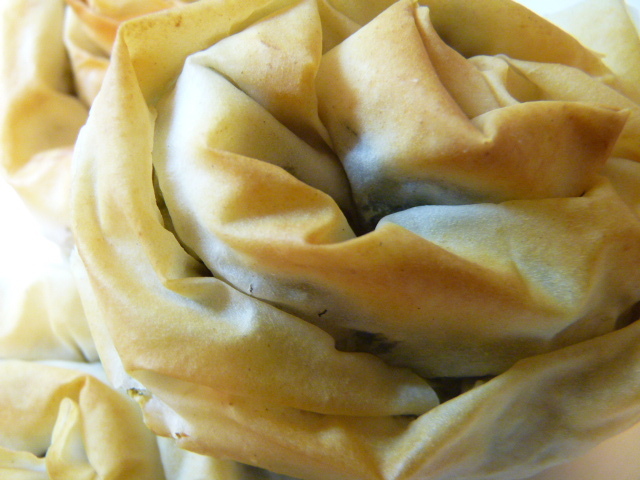 Spray the top and bottom of the phyllo coil with olive oil, and twist into a spiral. Place on baking sheet. 5. When all the spirals are on the baking sheet, spray again with olive oil and bake at 180 C / 350 F for 20 minutes or until a light golden brown color, and crispy. Allow to cool for at least 15 minutes before serving. If you are not also going to make other kinds of pies at the same time, use the whole package of phyllo, all the cheese, and triple the leeks and dill. 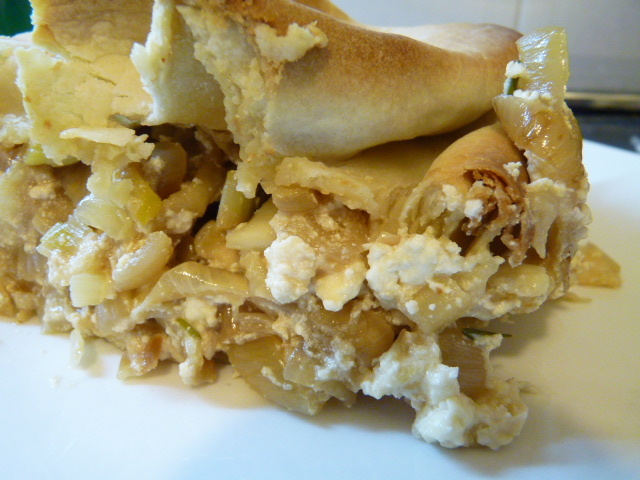 Some other popular pies that are not as well-known outside Greece are kreatopita (meat pie), kremmydopita (onion pie), manitaropita (mushroom pie), melitzanopita (eggplant pie), patatopita (potato pie), prassopita (leek pie), and hortopita (wild greens pie). 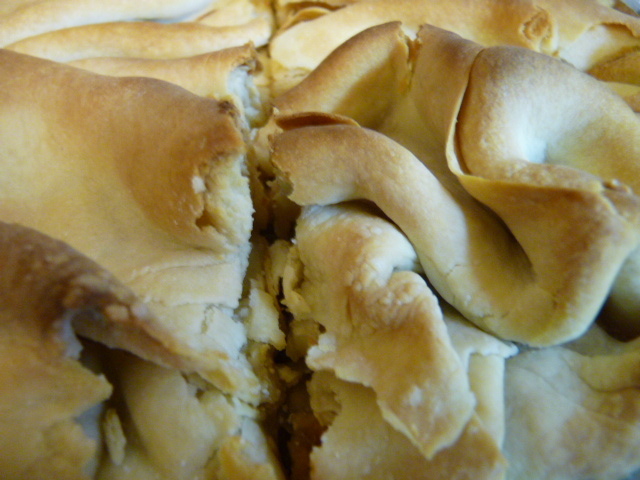 Greece also has her own milopita (apple pie) and kolokithopita (pumpkin pie), which are completely different from the American versions. 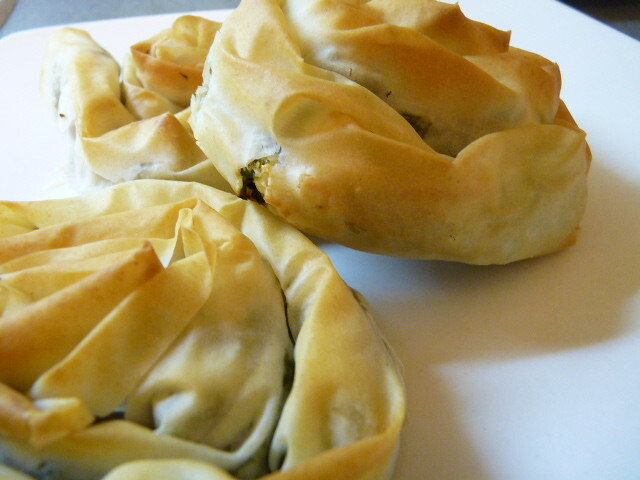 Most people, when they want to make one of these, go to the supermarket freezer and grab a box of phyllo dough. You can certainly do this too. The cheapest package of phyllo at my supermarket was €1.46, and you get quite a lot (I believe 450g). However, you don’t need a blog to tell you to buy a box of phyllo dough. Supermarket, shmoupermarket, I say! 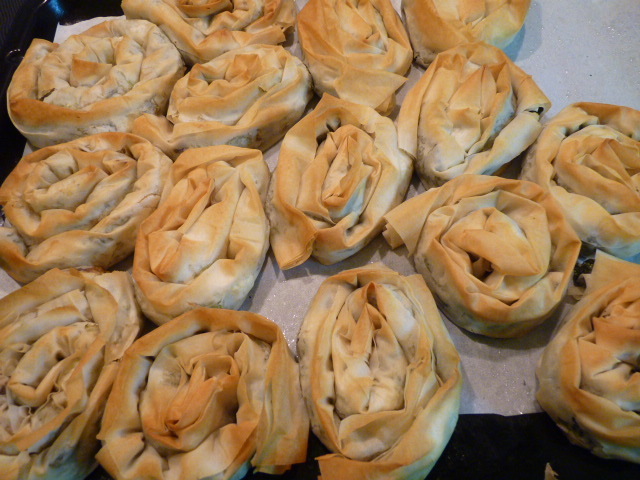 We’ll make a standard homemade phyllo, thicker than the machine made kinds, but great for the more hearty pies. 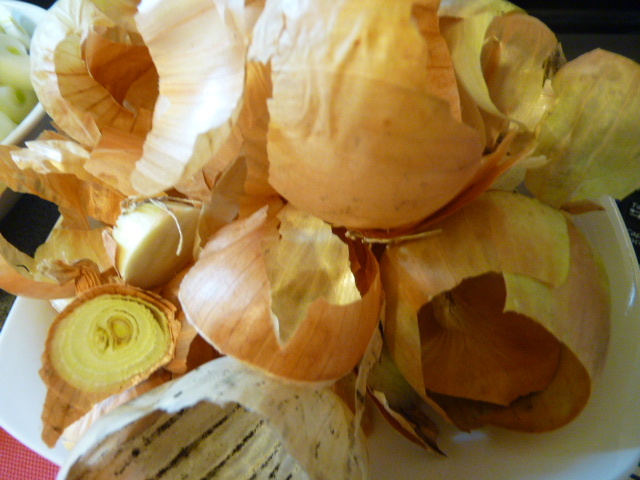 We’ll use it to make kremmydopita (onion pie), a frugal and delicious dish. Making your own phyllo dough doesn’t take much in the way of equipment. You do need a rolling pin. 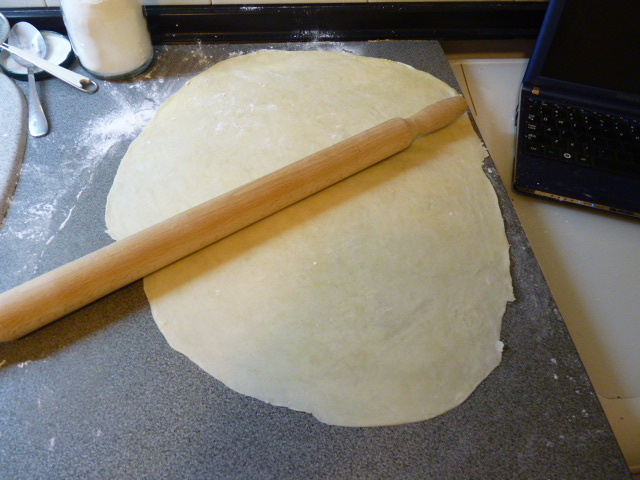 If you want to make professional Greek Grandmother phyllo dough, you need a traditional Greek rolling pin, called a ‘verga’ (which means rod or switch), which is basically a very sturdy dowel about 1/2″ in diameter. I don’t have a verga; instead I use a long slender solid-state (i.e., doesn’t spin on itself) rolling pin made by my local knife maker here in town. In the photo: I have the one on top. The one on the bottom is a proper verga. You can use either. The best way to do this recipe is to start by making the dough; then, while it’s resting, make the filling; then roll out the dough; and finally bake the pie. The entire process, start to finish, takes about four hours. If you’re not up for making the phyllo yourself, try this lesser-known pie with storebought phyllo! 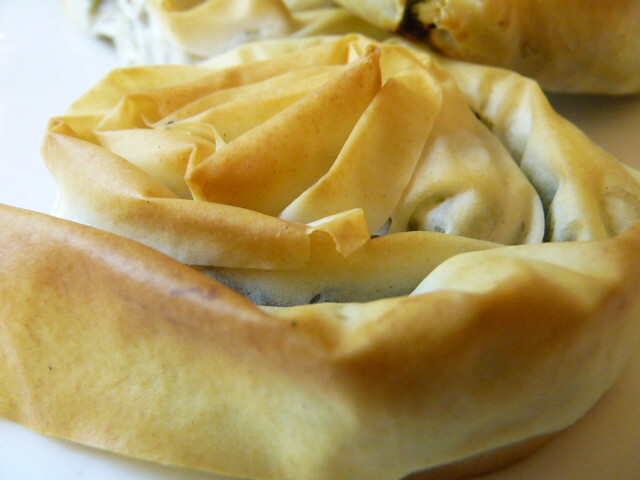 There are many recipes for phyllo out there. I chose the recipe and the technique from Tante Kiki’s blog. There are no odd or exotic ingredients: all purpose flour, sugar, salt, white wine vinegar, olive oil, water, and cornstarch. 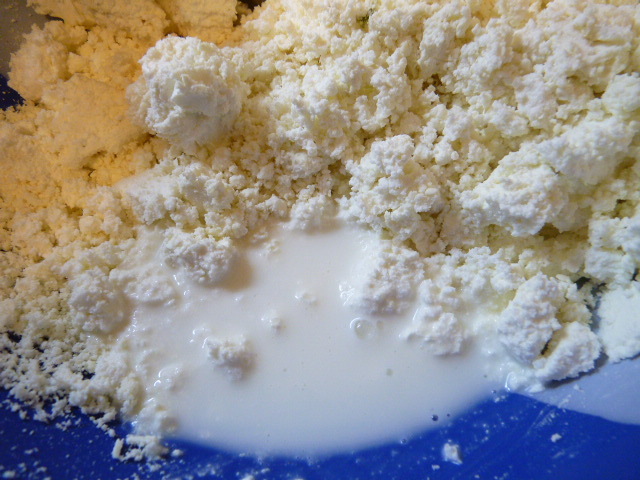 Using your hand, incorporate the flour into the wet ingredients, until it’s all mixed together. It will stick to your hands; don’t worry, just keep working the dough with your hands, adding a few drops of water as needed to bring it all together. I used just a few drops less than the 2/3 cup in the recipe. I worked it directly in the mixing bowl. The goal is a smooth but not sticky dough. 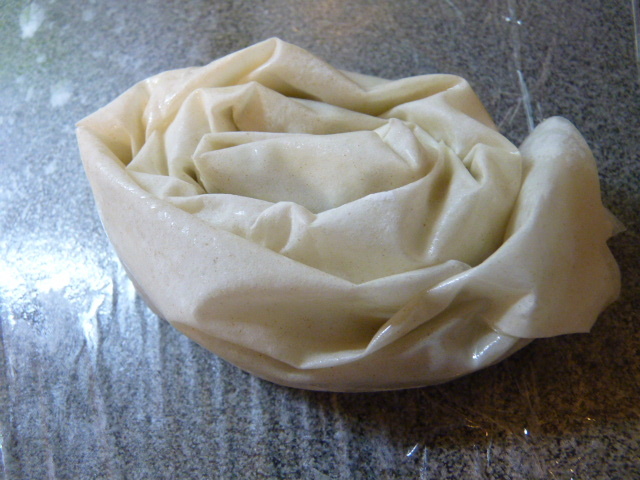 Flour the bowl, put the dough in it, and cover it with plastic wrap. 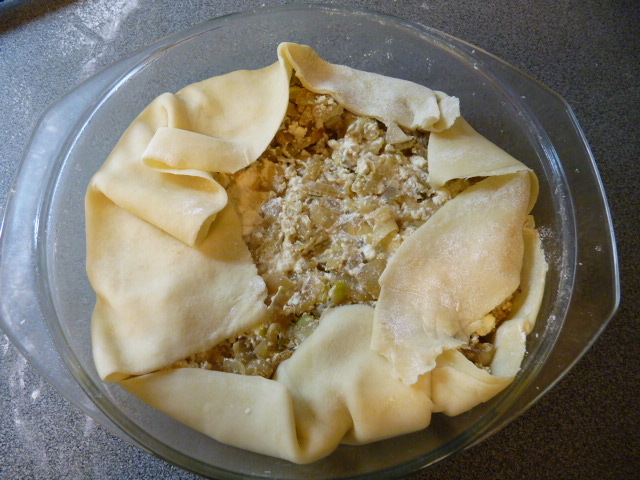 Put it aside until the filling is ready (or half an hour, for general reference) to rest. 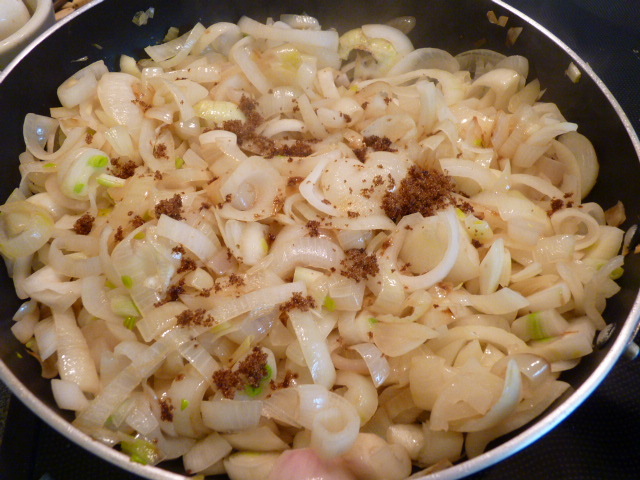 You can use any kind of onion for this, except green onions (scallions). I used yellow onions. You could try a combination if you like. Cut them in half, and then slice them into half-moons. 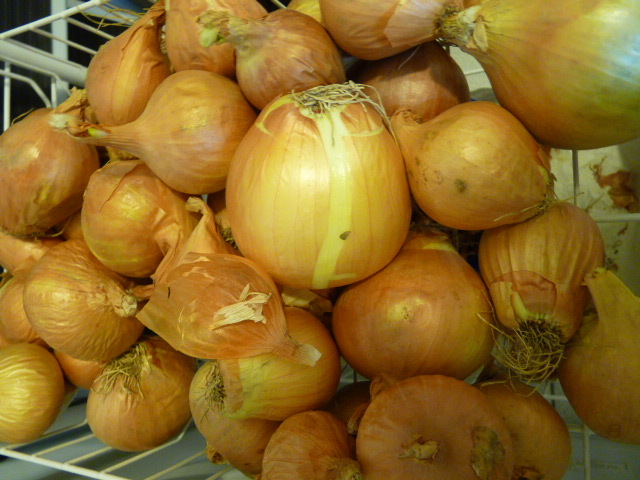 Frugal tip: don’t throw away your onion skins. Collect them in a bag and sew them into a notebook! Haha just kidding. (You didn’t really think I was serious, did you?) Put your onion skins, along with garlic peels, ends of zucchini and eggplant, spinach ends, celery leaves, and all that kind of ‘trash’ in a big ziploc bag in your freezer. When it’s full, boil it all in water, strain through a fine strainer, and use as excellent sodium-free vegetable stock. It makes a fantastic soup base! 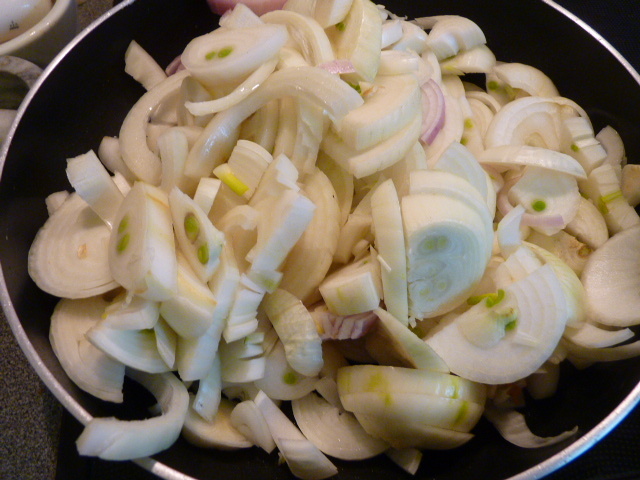 Heat up a pan over medium heat with olive oil and drop the onions into the oil. 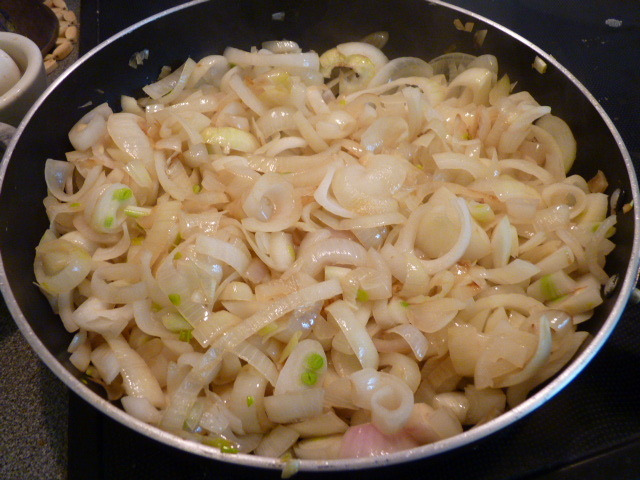 Gently stir the onions every thirty seconds for thirty minutes. 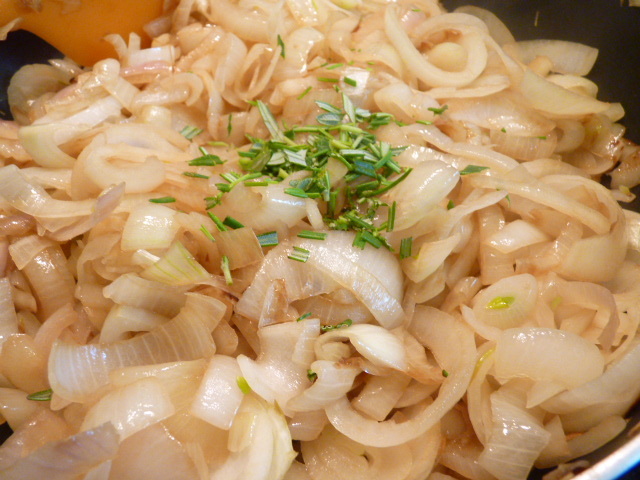 A few minutes before the onions are ready, add the rosemary. 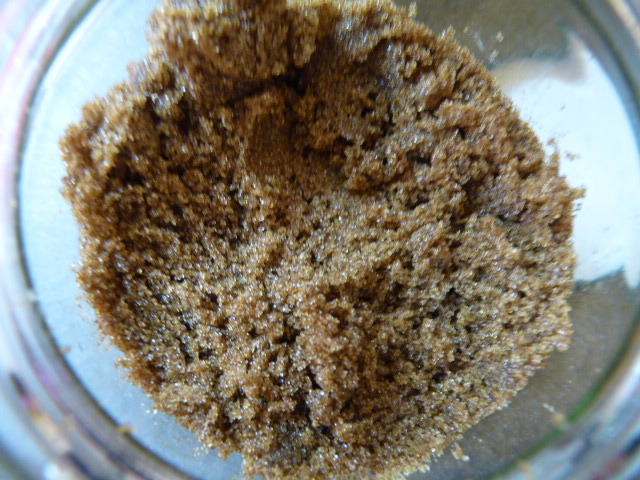 You can use dried. I have fresh so that’s what I used. And then let them caramelize completely. In order to reduce the cost sharply, I’m not using the traditional cheeses (feta and kefalotyri). You can certainly do that. If you do, use about 2/3 feta (or all feta if you don’t have kefalotyri) and 1/3 kefalotyri. 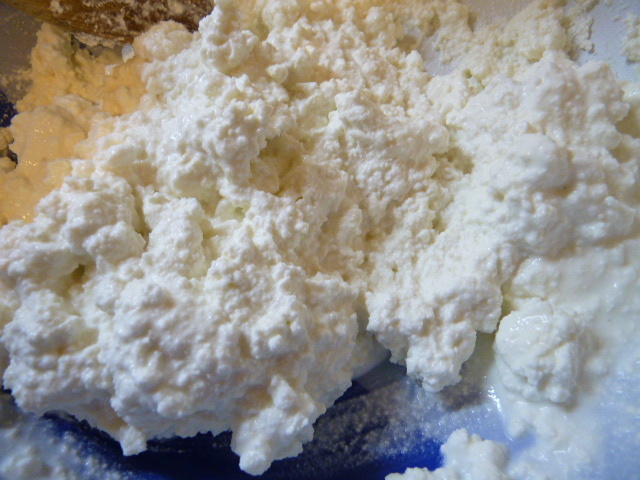 I’m using a feta knock-off made with cow’s milk, anthotyro (the firm Greek ricotta), and shredded myzithra (which tastes like parmesan). These are pretty much the three cheapest cheeses in Greece. 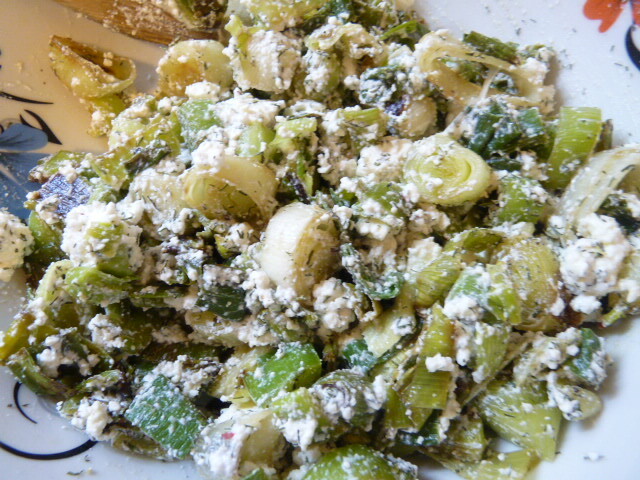 The strength of the myzithra partly makes up for what’s lacking in the fake feta and the anthotyro. I am admitting this because I don’t want anyone to think that this can’t be made frugally. Break up the cheeses in a large bowl. Frugal note: most recipes call for six eggs. What the heck? I understand that most Greek grandmothers had hens in their yard once upon a time, but seriously, that is not acceptable in this economy. You do not need to use eggs at all! Pour in the milk and mix it all up til it’s nice and incorporated. Stir in the caramelized onions with the rosemary. Set it aside. 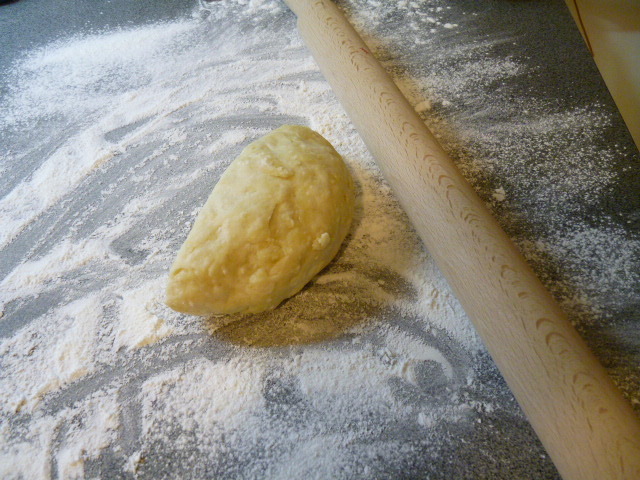 The dough is now rested and ready to be made into phyllo. Cut your ball of dough in half. Put one half aside and cover again with the plastic. Dust your surface with corn starch. 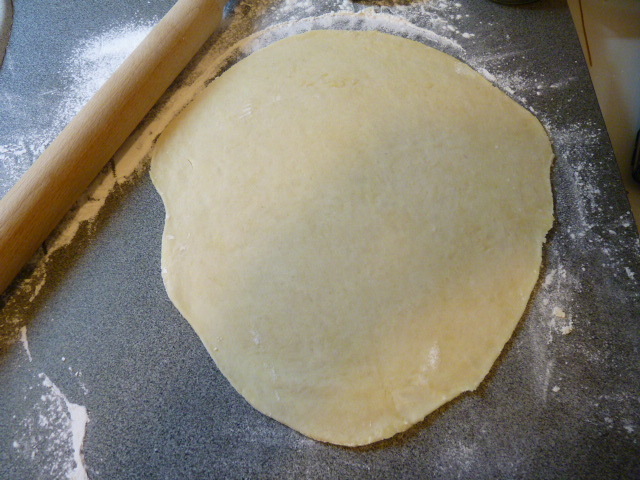 Gently form the dough into a circle with your hands. 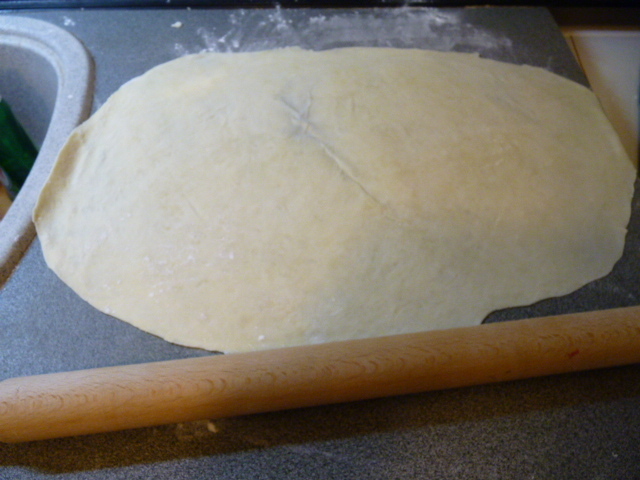 Put it on the surface and, using the rolling pin, roll out the dough into a rough circle. 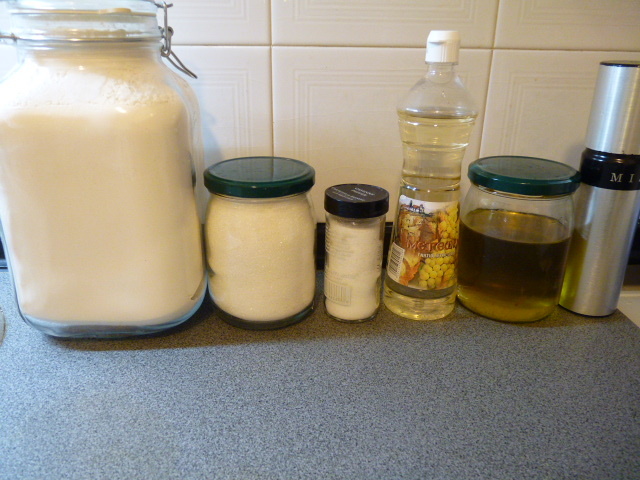 You may, at some point, need more corn starch – I never do, but keep it handy. Just go to town rolling the thing out, using a rocking forward and back motion with your palms. 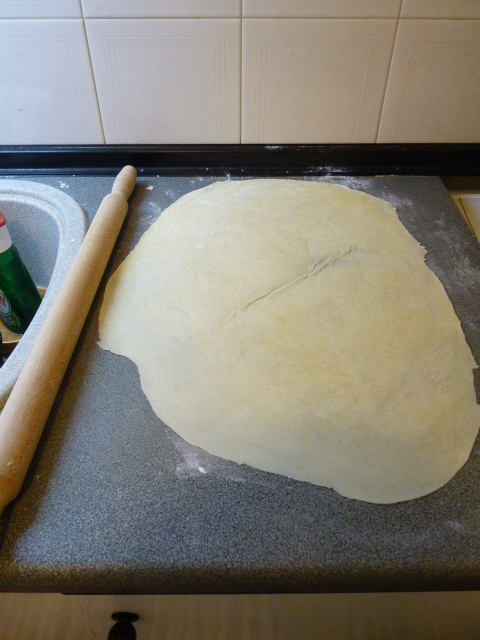 By rolling the dough onto the rolling pin and rocking back and forth, you should have an easier time of it. Unroll the dough on your dusted surface. Hopefully you have a bigger surface than I do; I did the best I could with my tiny countertop! We’re done with the rolling pin for the moment. 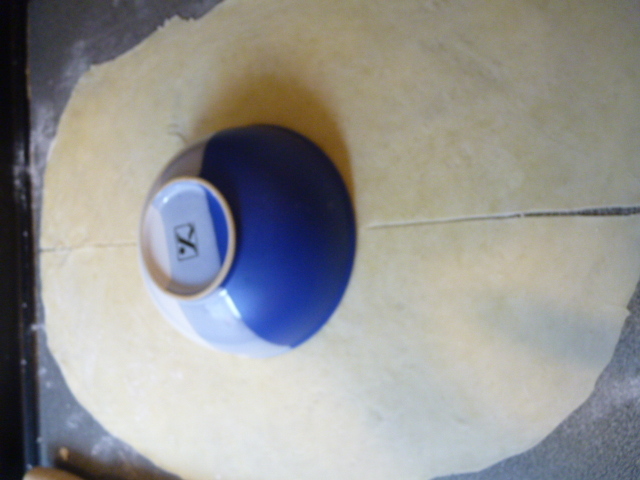 Get a bowl about 6″ across and put it in the middle of the dough. 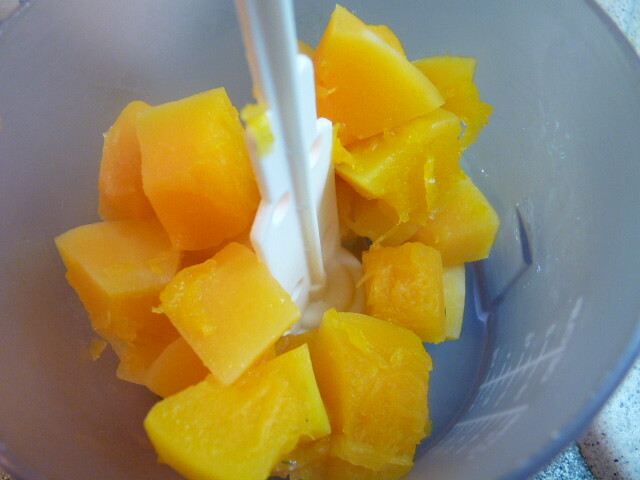 Using a butter knife (or whatever knife won’t mar the surface you’re using), cut ‘rays’ out from the bowl to the edges. Get rid of the bowl. If you have an olive oil mister (like Misto), spray the whole thing with olive oil. If you don’t, using a pastry brush, paint the entire thing, especially the cut edges, with olive oil. Take one of the cut sections and fold it up over the round bowl section in the middle. Continue doing this going all the way around. You’ll end up with a thick multi-layered slab of dough. Put it on a corn starch-dusted plate and cover with plastic wrap. Put it in the fridge while you do the same thing with the other half of the dough. Put this second half in the fridge and get out the first one, which has now rested. Now get out your pan in which you want to make your pie. I used a round glass pie dish. 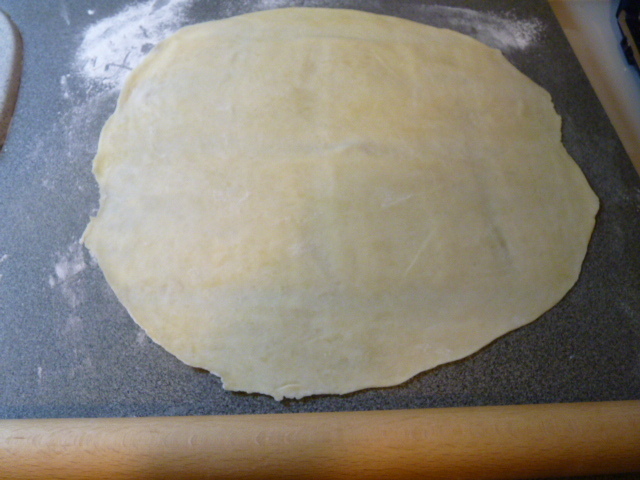 Note how big it is, and, on a corn starch dusted surface, roll out your multi-layered dough slab into a (rough) circle the size of your pan plus its sides. I know, it sounds crazy, but this is how it’s done. Trust the process. 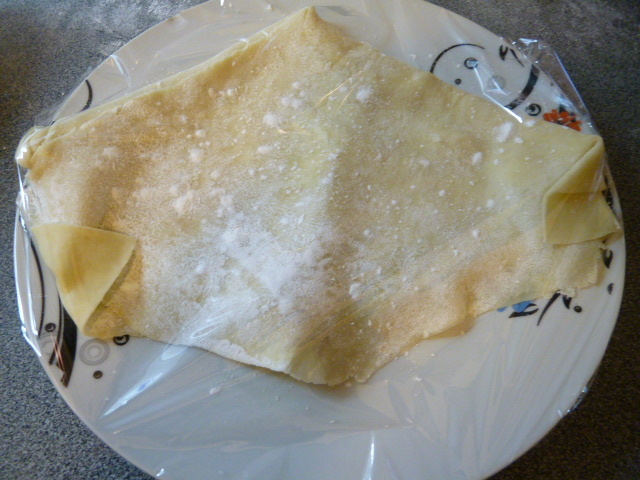 It will turn into separate flaky layers in the end. 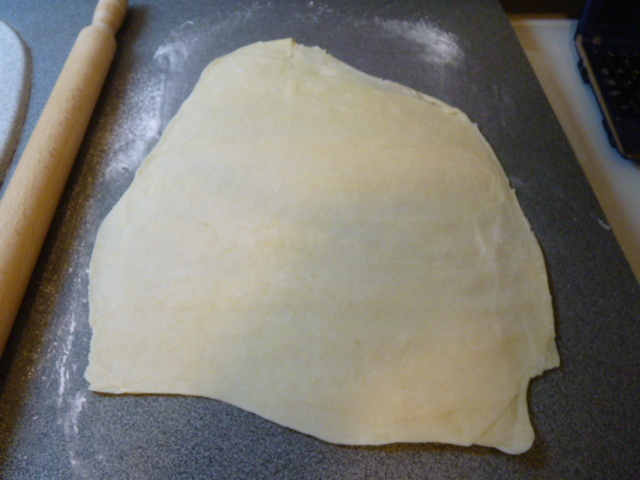 This time around, the dough is usually more difficult to roll out, and harder to control the shape. Don’t worry if it’s not a perfect circle. You just need it to cover the pan and its sides. 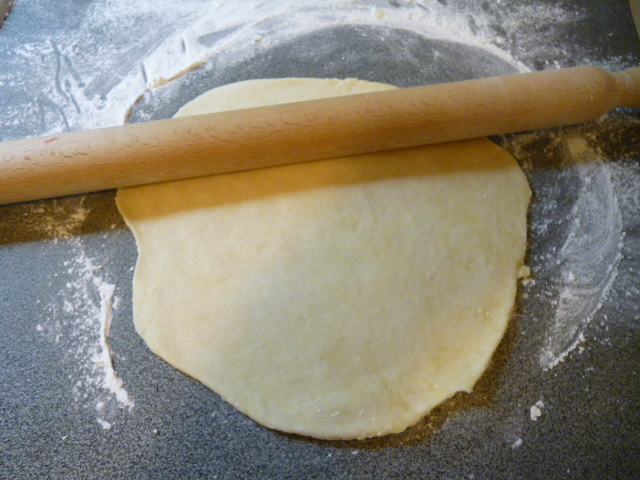 Roll the dough onto the rolling pin. Oil your pan (I just sprayed it really well with the mister). 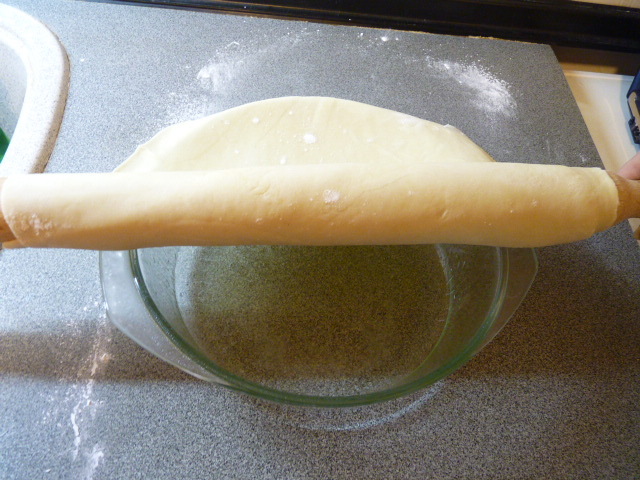 Place the dough in the pan by unrolling it over the top of the dish and pressing it in gently. If there are spots where the sides aren’t covered, cut from the ‘extra’ and press it where it’s needed. Fill the pie with the onion filling. 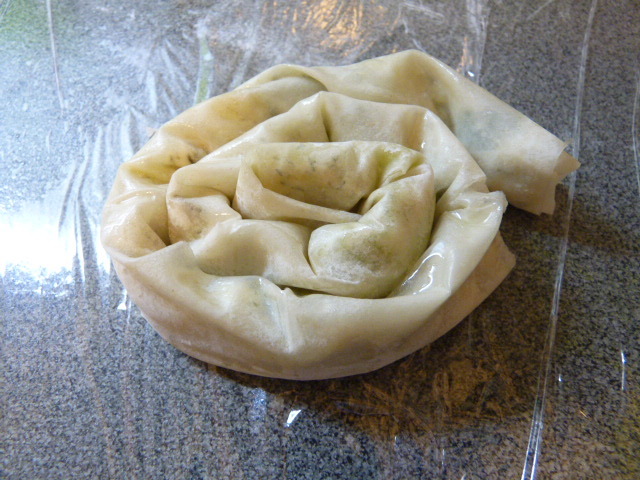 Fold the extra over the top, cover with plastic wrap, and set aside. Preheat your oven to 190 Celsius / 370 Fahrenheit. Now roll out the other stack of dough. This top dough should be the same size as the bottom dough – yes, even though we have no sides to cover. I failed at circle time but that’s okay. Get your pan. 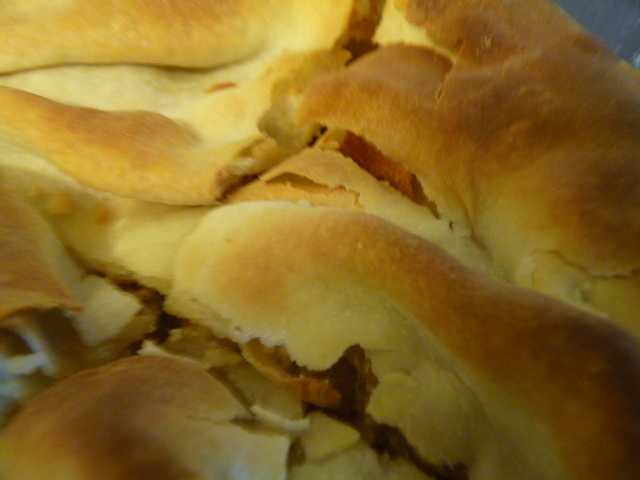 Put the dough on top, scrunching it up into ripples so that it all fits. You wanted tradition, right? This is the easy part. Put it in the oven on the center rack for fifty minutes, covered with aluminum foil with a few holes in it. And there you have it: the reason why Greece has so many bakeries! Ha ha, just kidding: it’s worth it, I promise. 1. 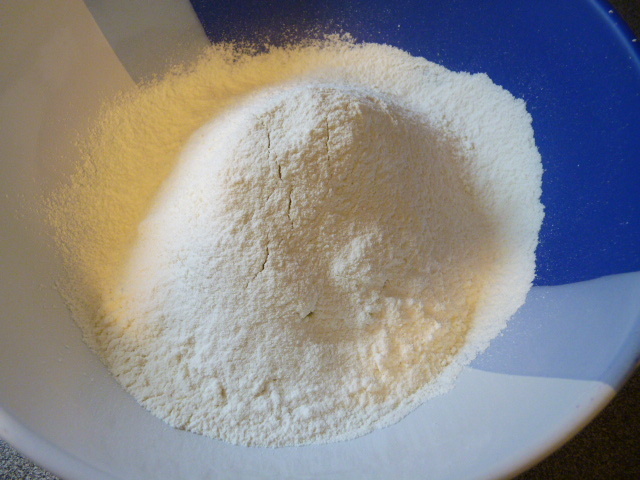 Sift the flour into a large bowl. Form a well. Add the salt, sugar, vinegar, olive oil, and half the water into the well. 2. 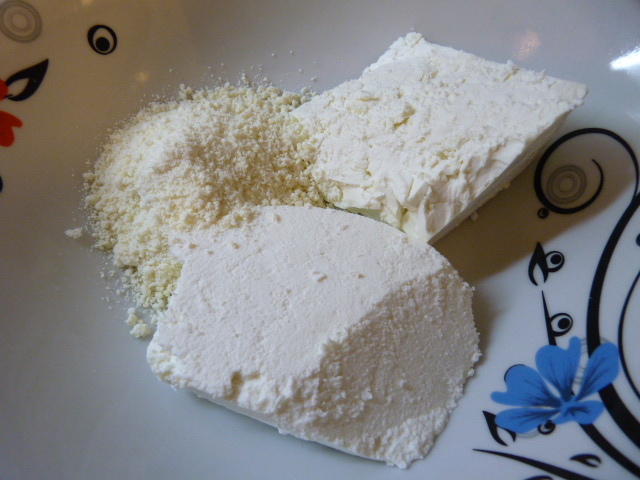 Incorporate the flour into the wet ingredients, using your hands. Add more of the water as needed, and always in very small amounts. 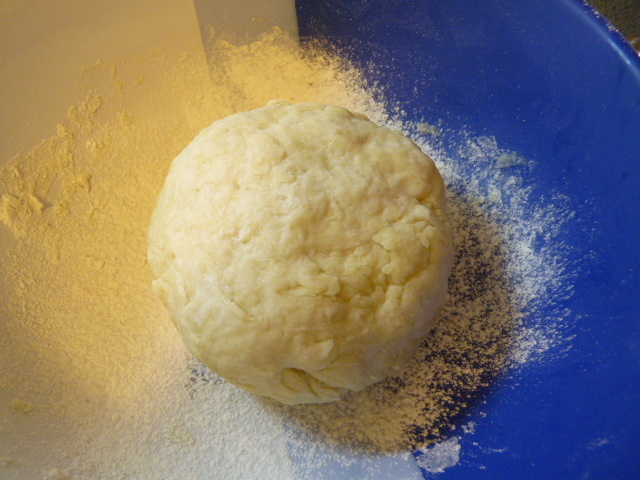 Work the dough with your hands to incorporate all the flour and to form a ball. 3. 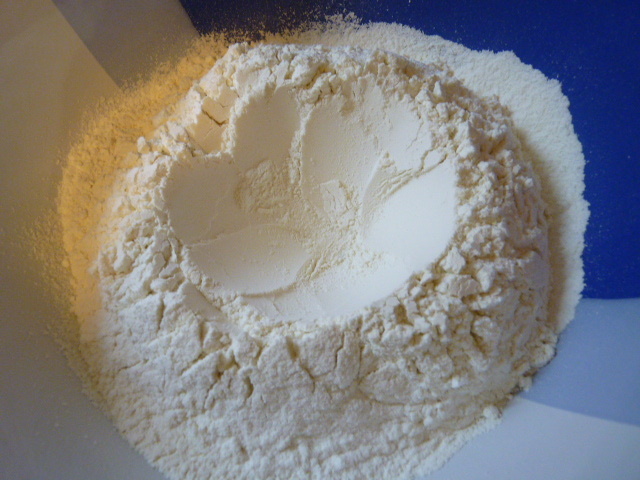 Work the dough in the mixing bowl with your hands until it forms a smooth, not sticky dough. 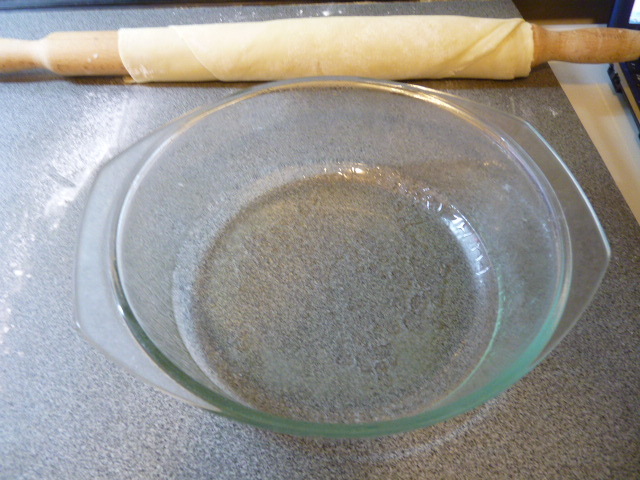 Flour the bowl, put the dough in, and cover with plastic wrap. Set aside to rest for 30 minutes. Use this time to make the filling. 4. 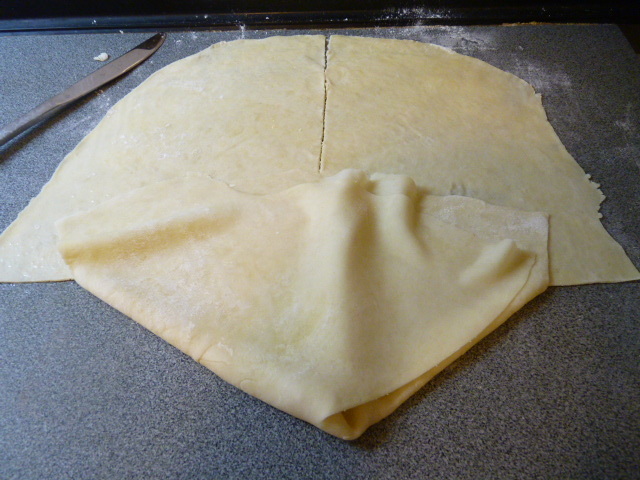 After 30 minutes, cut the dough in half. Dust a large surface with corn starch. Leave one half in the bowl, covered with plastic wrap. Form the dough into a circle with your hands. Place it on the surface and roll it into a large circle. 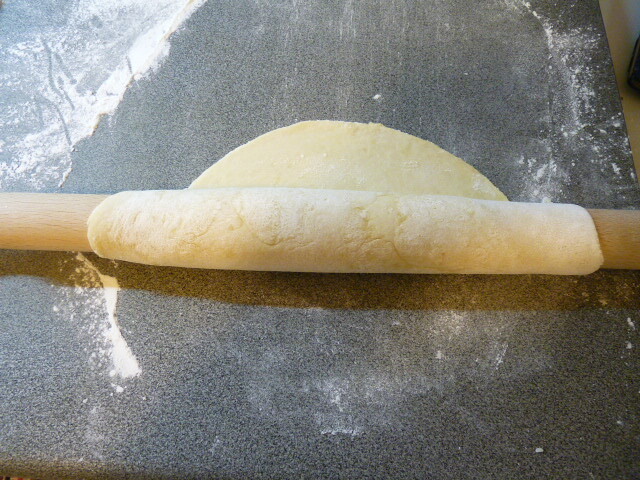 Continue to enlarge the circle by rolling the dough onto the rolling pin and rocking back and forth. 5. 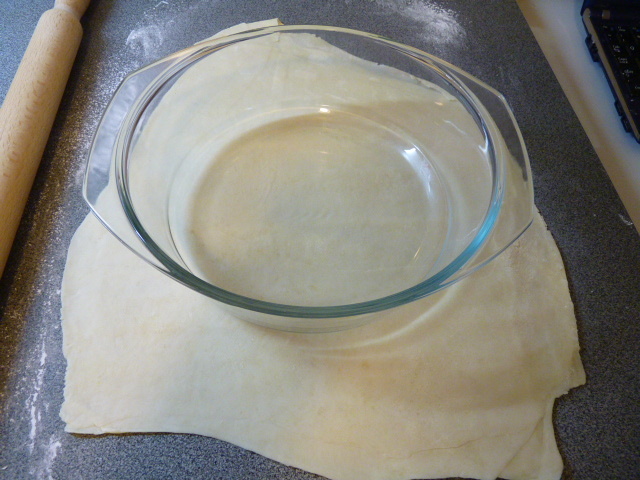 Put a bowl approximately 6″ across face-down on the dough. 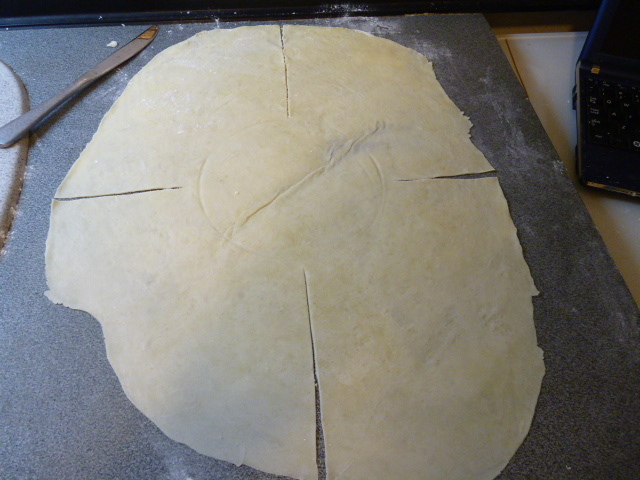 Cut the dough outward from the bowl to the edges in quarters. Remove the bowl. 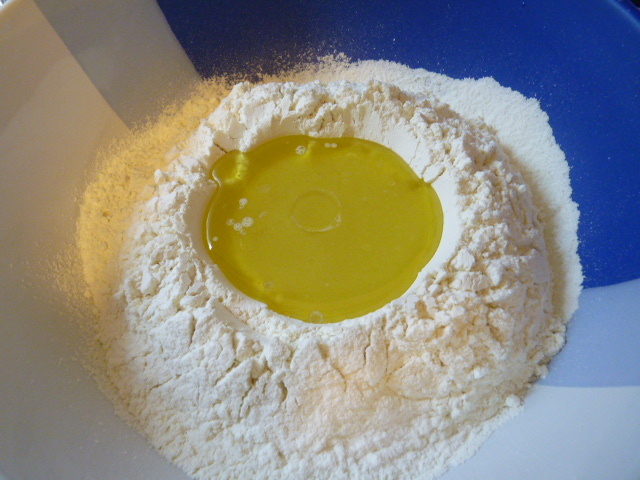 Spray or brush the dough with olive oil. Fold each of the quarters over the circle in the center. Dust a plate with corn starch, put the dough stack on it, dust the top with corn starch, cover with plastic wrap, and put in the refrigerator. 6. Follow steps 4 and 5 for the second half of the dough. Put it in the refrigerator and remove the first plate. 7. Dust the surface with corn starch again. 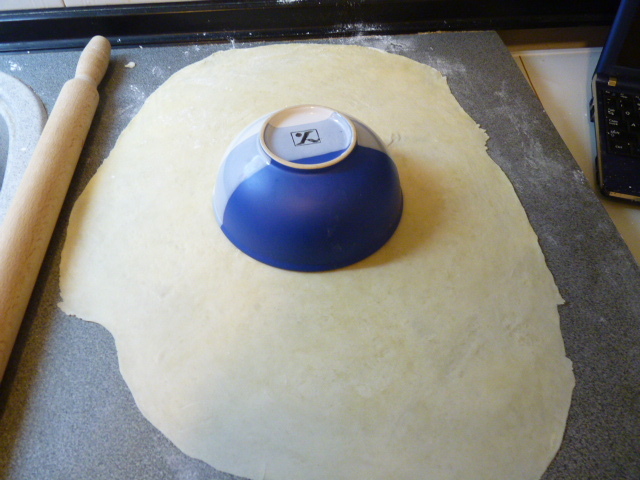 Roll out the dough stack into a large circle as you can. 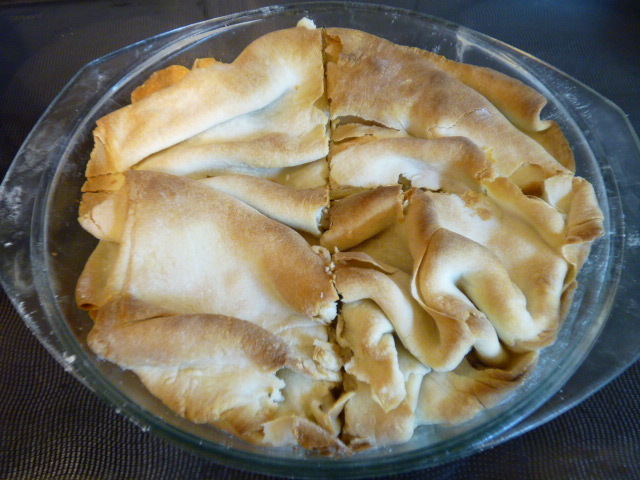 Spray or brush your pie dish with olive oil. 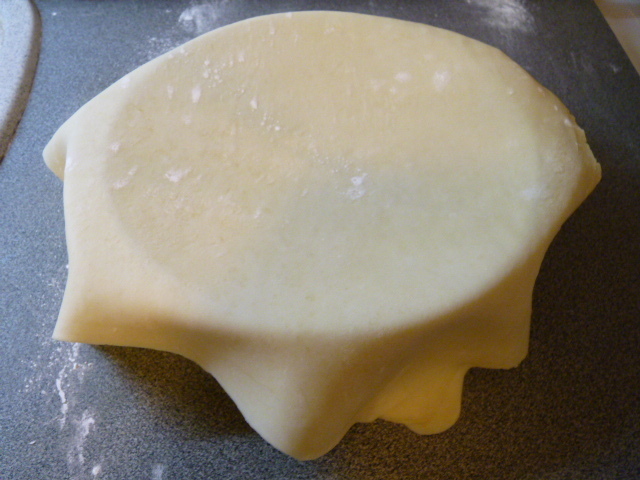 Roll your dough onto your rolling pin and unroll it over the top of the pie dish. Press it gently into the dish. 8. Fill the phyllo with the filling. 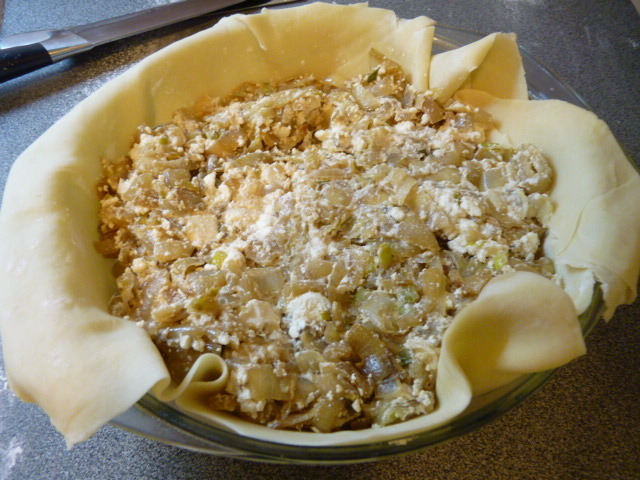 Fold the extra phyllo over the top of the pie. Cover with plastic wrap and preheat the oven to 190 Celsius or 370 Fahrenheit. 9. 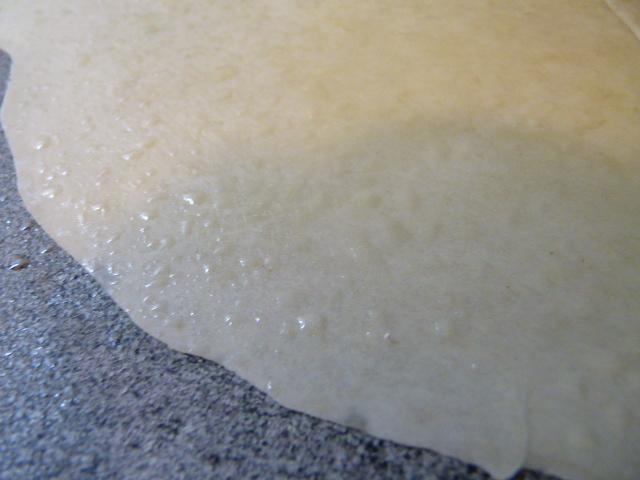 Take out the second dough stack, and roll it out on your dusted surface. Uncover the pie dish. 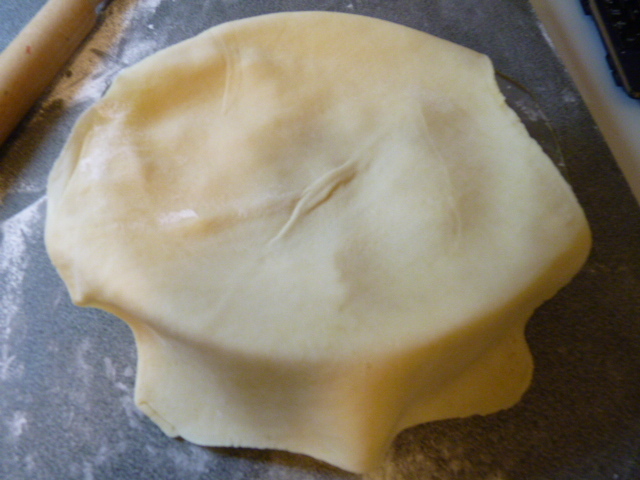 Roll the dough onto your rolling pin, and unroll over the top of the pie. 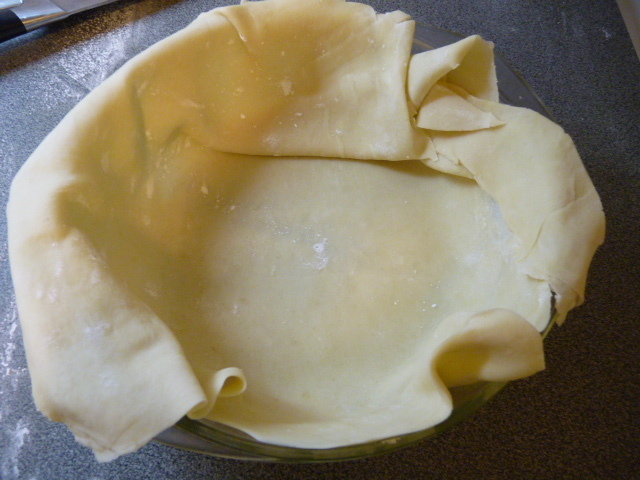 Press the edges around the pie, and form the interior into graceful folds. Spray or drizzle the top of the pie with olive oil. 10. Cover with aluminum foil, with a few holes. Place in the oven on the center rack and bake for 25 minutes. Take it out, cut into pieces with a sharp knife, and put back into the oven uncovered. Bake another 25 minutes. 11. Remove from oven. Allow to rest uncovered for 45 minutes. Recut and serve. 1. 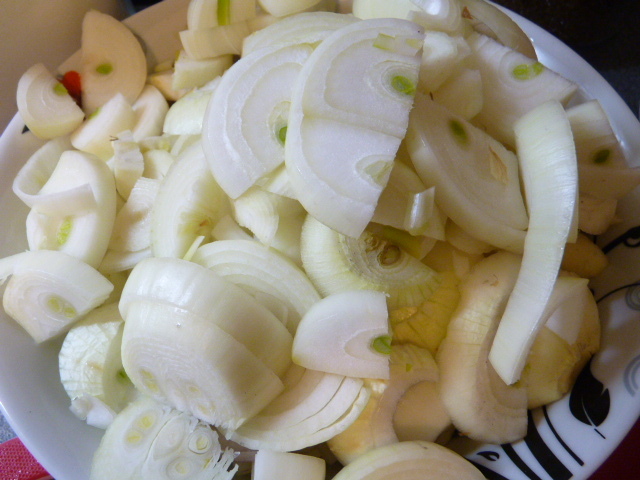 Clean and halve the onions; slice into half moons. Freeze the skins and ends in your stock bag. 2. Heat the olive oil over medium heat in a non-stick pan. Put in the onions and stir every thirty seconds for about 20 minutes. Add in sugar. Continue stirring the onions every thirty seconds. 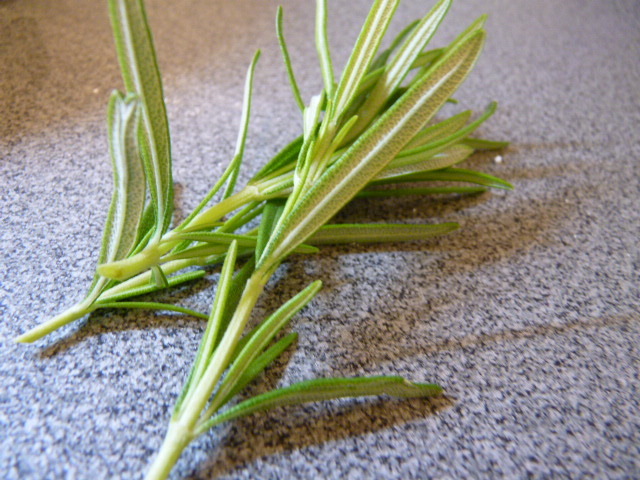 After a few more minutes, cut the rosemary into small pieces into the onions and stir. 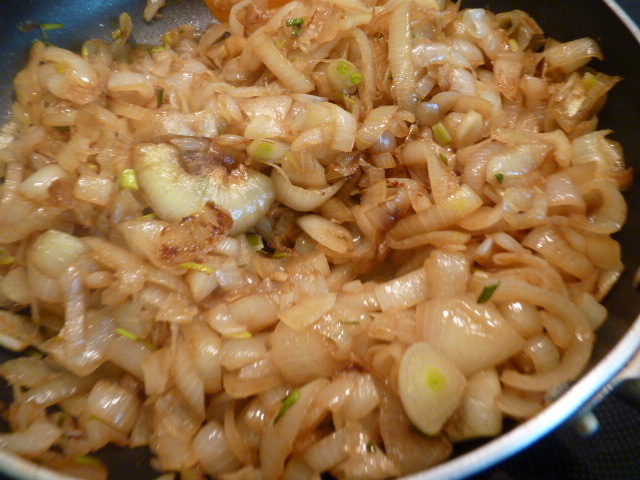 When the onions have caramelized (usually about 35-45 minutes cooktime), remove from heat. 3. Combine the three cheeses in a large bowl. 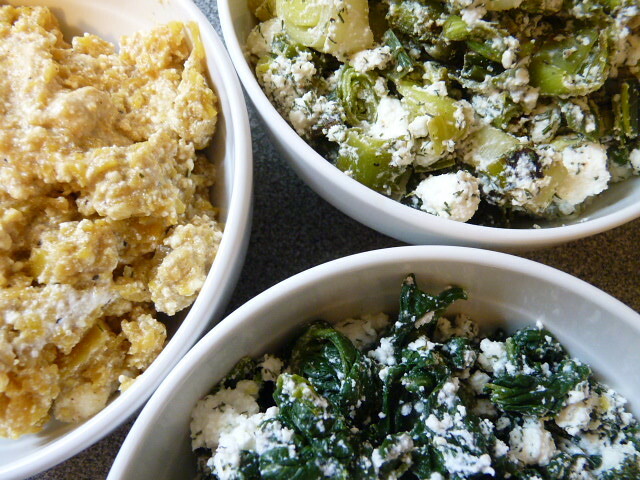 Crumble the feta and anthotyro. Add the milk and the onions. Stir to combine. 4. Set aside until phyllo is ready. Use as filling for phyllo. calcium, thiamin, niacin, vitamin B-6, phosphorus, selenium, vitamin C, iron, riboflavin, folic acid, food folate, and manganese.